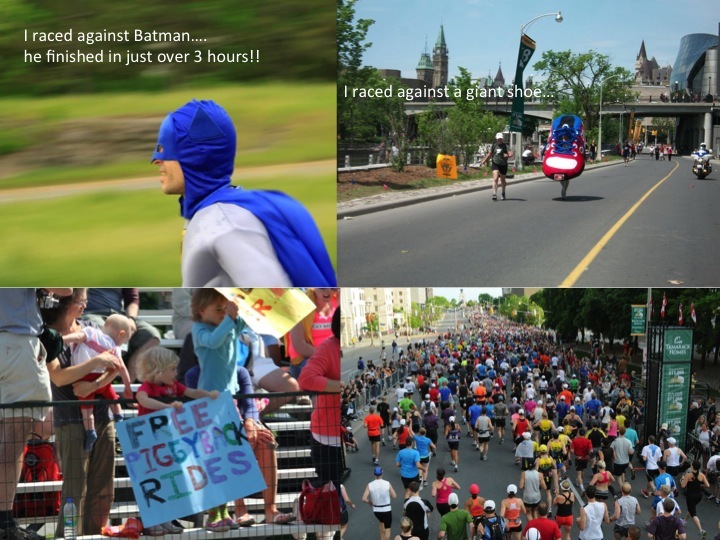 Whew, only two days after my marathon and I’ve been reading through webpage after webpage trying to decide on what run to do next…I’m obsessed, and super excited about racing to say the least. I ended the race off with a big, delicious cookie. I had one for breakfast too. I love these cookies because they are chalk full of all the good stuff I have before a race anyway. 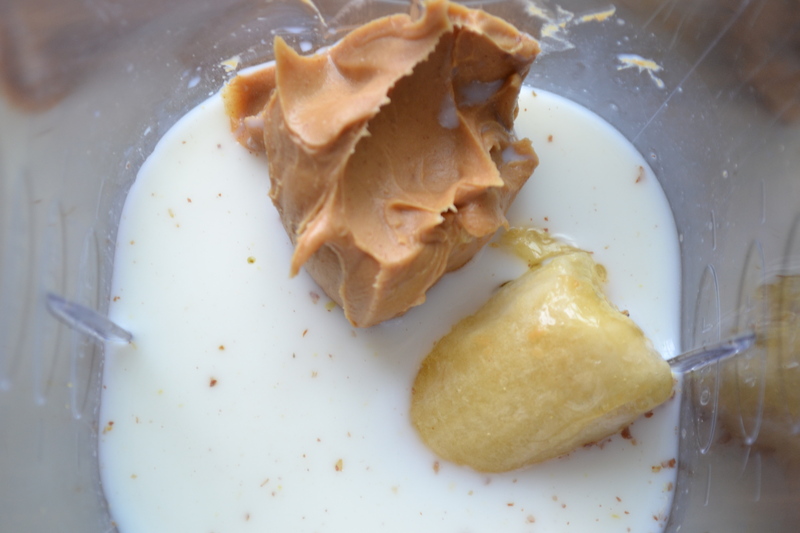 Like bananas and peanut butter…my classic pre-marathon meal. 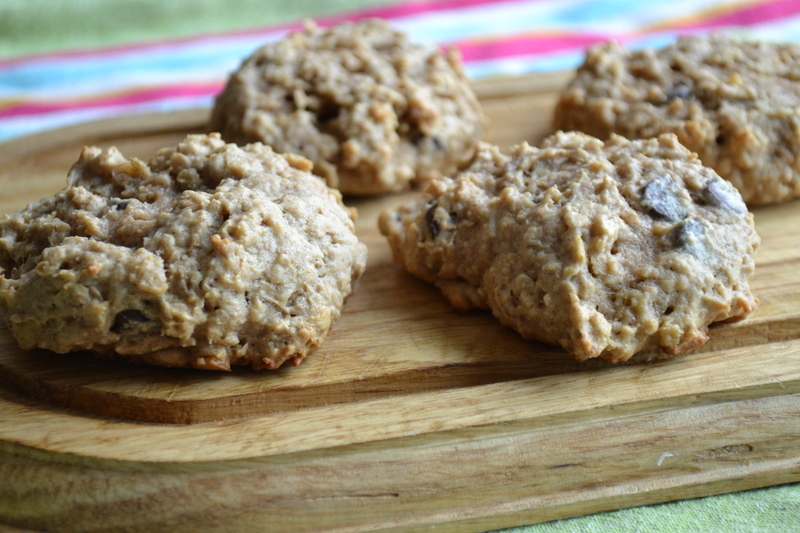 I like having breakfast cookies on regular days too. They’re light and chewy and make me feel happy. And isn’t that what life is all about?? 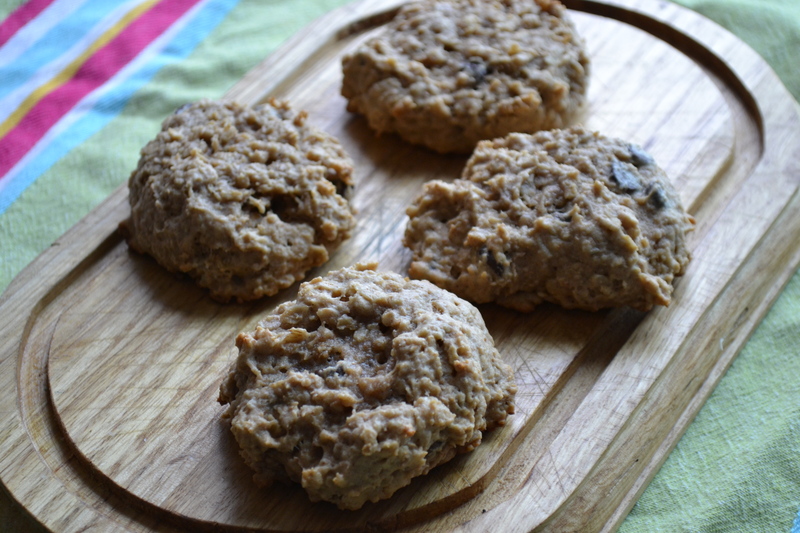 To make these bad boys, preheat your oven and cream butter, brown sugar, banana and applesauce together in an electric mixer until fluffy, about 2 minutes. Add eggs and mix until combined. 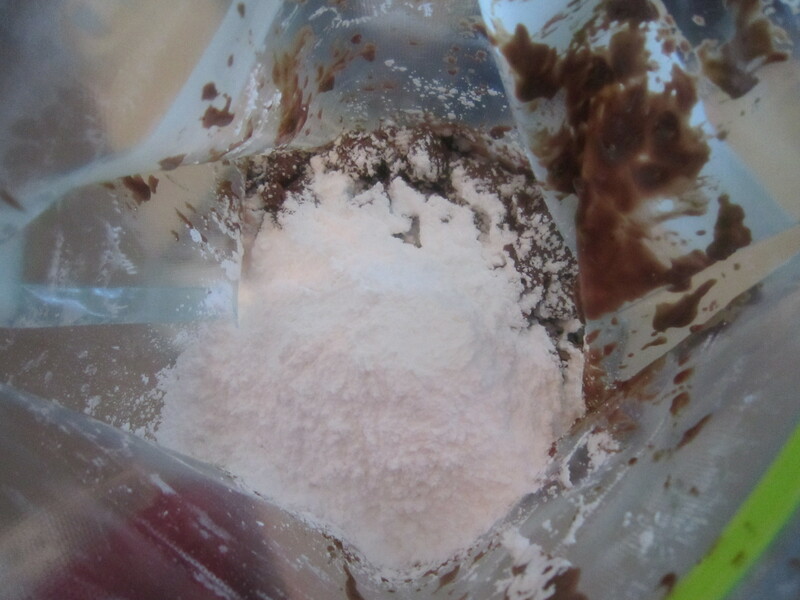 In a separate bowl, whisk together flours, baking soda, salt and cinnamon. 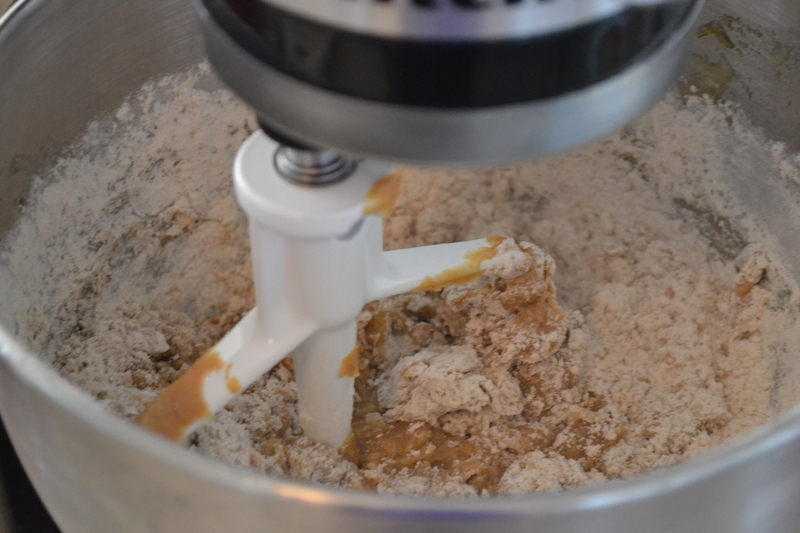 Add flour mixture to butter mixture and mix just until combined. 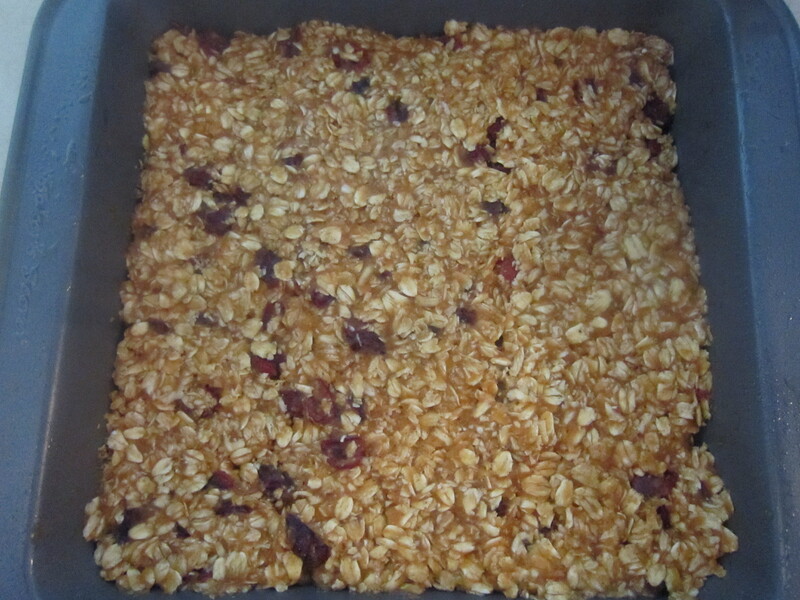 Stir in rolled oats, chocolate chips and other add-ins. Using a large ice cream scoop, scoop out 1/4 cup portions and place two inches apart on a baking sheet lined with parchment or a Silpat. Press down on each cookie to slightly flatten. Bake for 13-18 minutes, or until edges are lightly browned. 2. 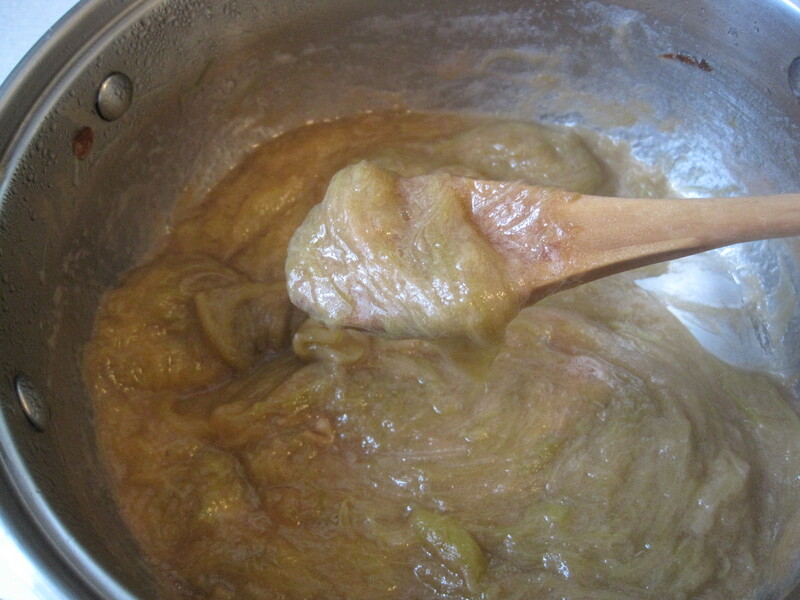 Cream butter, brown sugar, banana and applesauce together in an electric mixer until fluffy, about 2 minutes. Add eggs and mix until combined. 3. Add vanilla and peanut butter and mix well. 4. 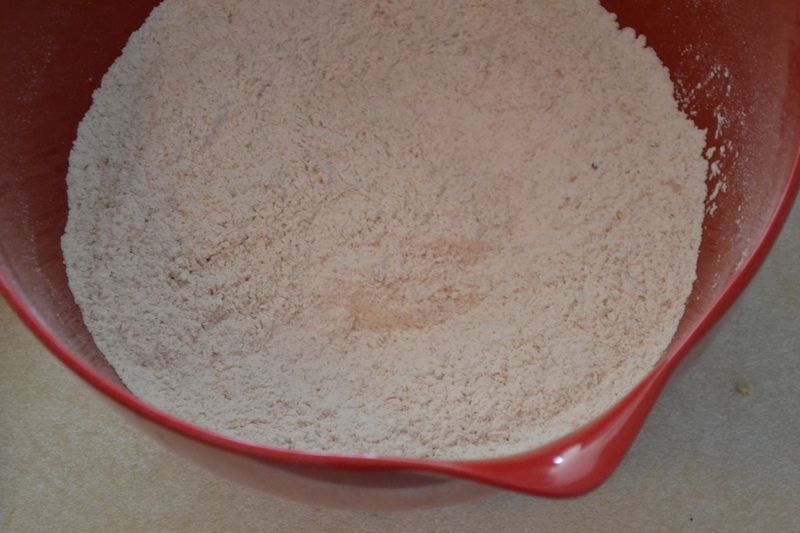 In a separate bowl, whisk together flours, baking soda, salt and cinnamon. 5. 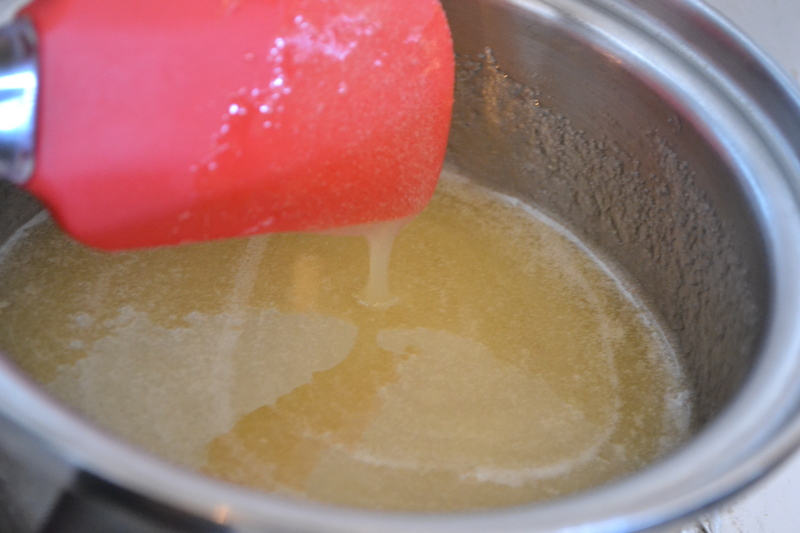 Add flour mixture to butter mixture and mix just until combined. 6. 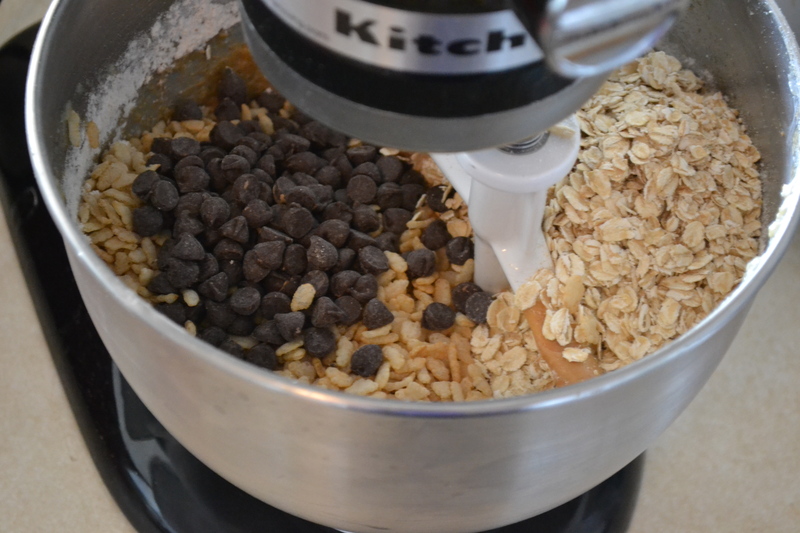 Stir in rolled oats, chocolate chips and/or other add-ins. 7. Using a large ice cream scoop, scoop out 1/4 cup portions and place two inches apart on a baking sheet lined with parchment or a Silpat. Press down on each cookie to slightly flatten. 8. Bake for 13-18 minutes, or until edges are lightly browned. 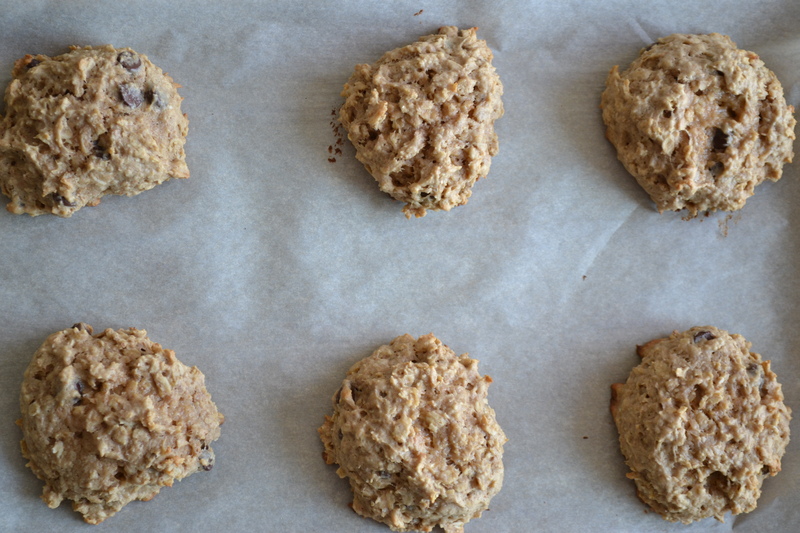 Note: Cookies will keep up to three days in an airtight container, or up to one month in the freezer. I’m going a bit crazy. In three days I’m running in the Ottawa marathon and have been relaxing my muscles this week by cutting my weekly running miles in half. *sigh*…oh, the classic taper week. The week that all runners love to hate. To clear their heads, some people have a therapist, some people are just plain angry, some people eat a lot of cake…and I run. It makes me feel strong and happy and free all at the same time. So naturally, a taper week (less running) doesn’t allow me to do that. It’s torturous! During this week my boyfriend just happens to be on a fishing trip up north, so without him to keep me busy I’ve been visiting with friends every day, going for long walks and bike rides, doing the short runs I’m allowed, and making so, so, many salads and dips. With this hot weather, they carry me over so I don’t have to turn on the oven too much or do too many dishes. It’s a win-win situation really. Plus, dips and salads are healthy! 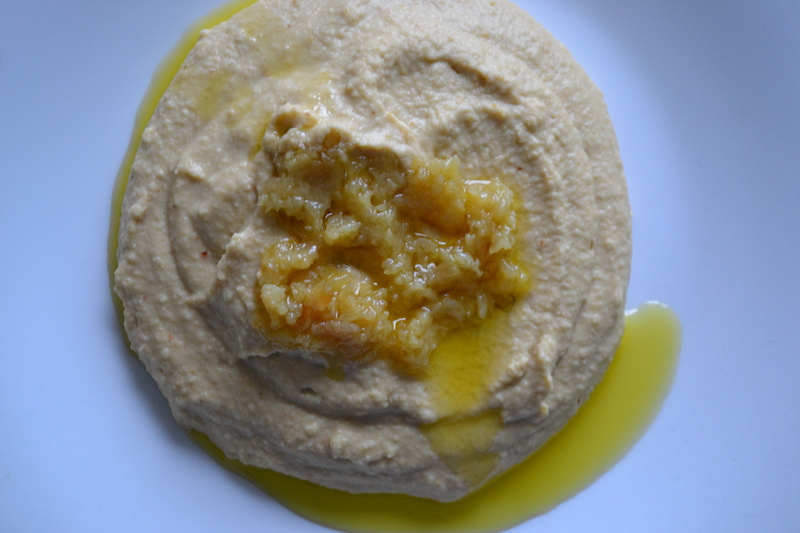 To make this roasted garlic hummus (the best hummus), start by roasting a head of garlic. Preheat your oven to 375°F. 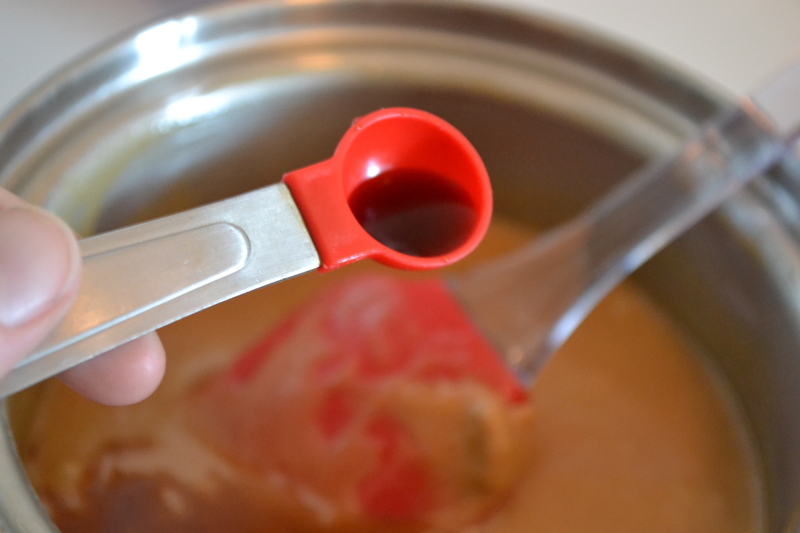 Cut off the very top of the garlic clove (about 1/4″) so that the tops of most of the cloves are exposed slightly. Coat with a little olive oil and wrap securely in tin foil. 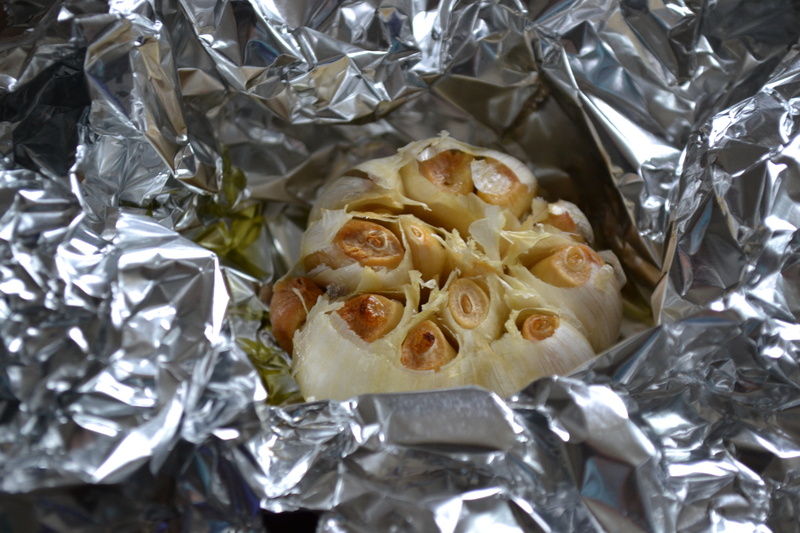 Roast garlic in oven for 1 hour. 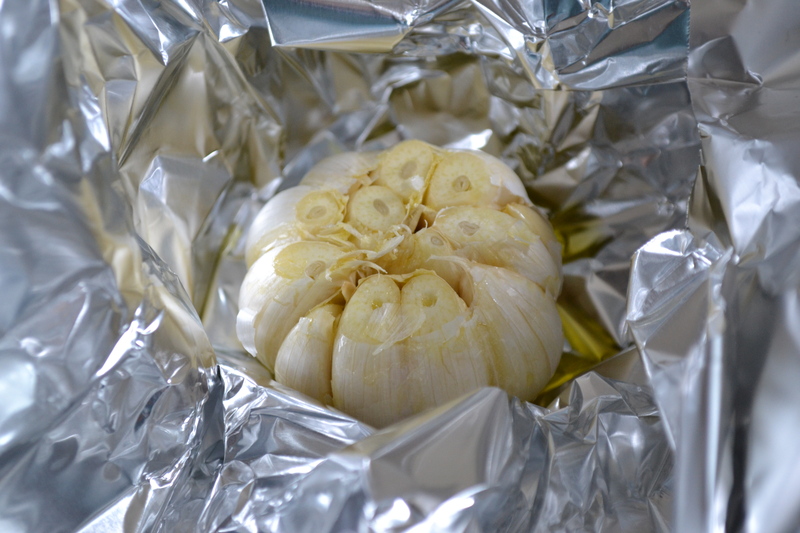 Remove from foil and allow the garlic to cool. Using your fingers, squeeze the soft, roasted garlic out of each clove into food processor (this is easily done when the garlic has cooled completely). Set aside 3 garlic cloves for later use. Rinse and drain chickpeas. Add them, and all other ingredients except olive oil and the 3 roasted garlic cloves you set aside, to the food processor and blend until completely smooth. 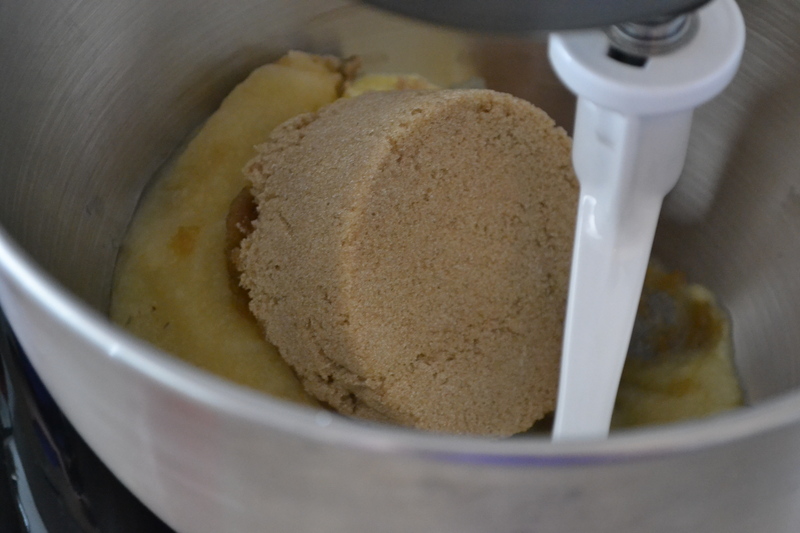 Scrape ingredients off the sides of your food processor to make sure it blends evenly. Finally add one tablespoon of olive oil at a time until you have reached the desired consistency. Add it very slowly, allowing the mixture to combine fully before adding more liquid. 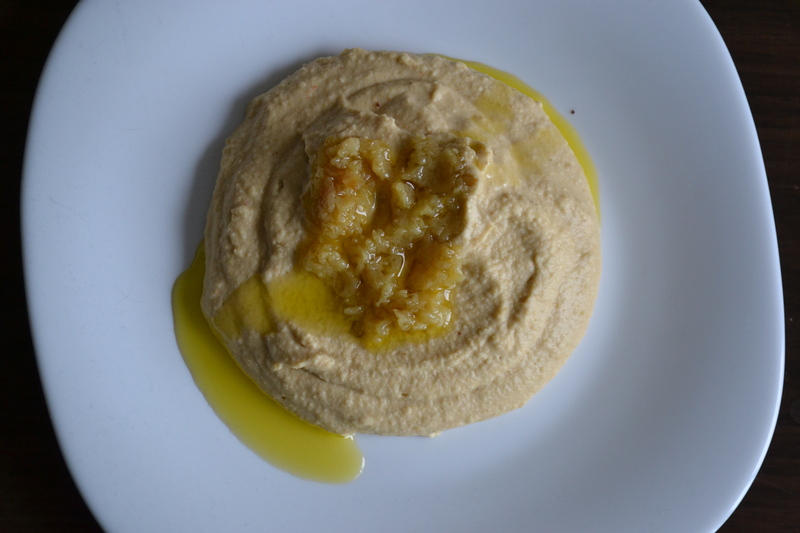 For a tasty garnish, mince the 3 roasted garlic cloves you set aside and toss in a tiny bit of olive oil and place on top of hummus. Preheat oven to 375°F Cut off the very top of the garlic clove (about 1/4″) so that the tops of most of the cloves are exposed slightly. Coat with a little olive oil and wrap securely in tin foil. Roast garlic in oven for 1 hour. Remove and allow cool. Scrape ingredients off sides of food processor to make sure it blends evenly. Finally add a tablespoon of olive oil at a time until you have reached the desired consistency. 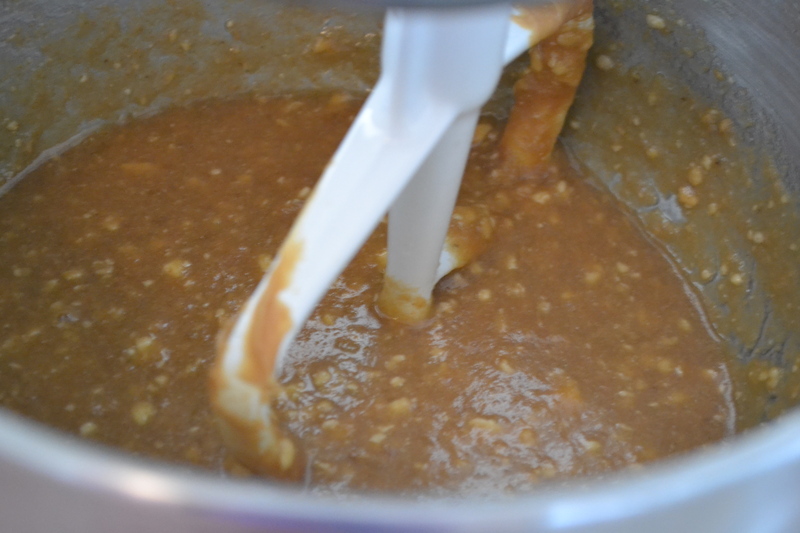 Add it very slowly, allowing the mixture to combine fully before adding more liquid. 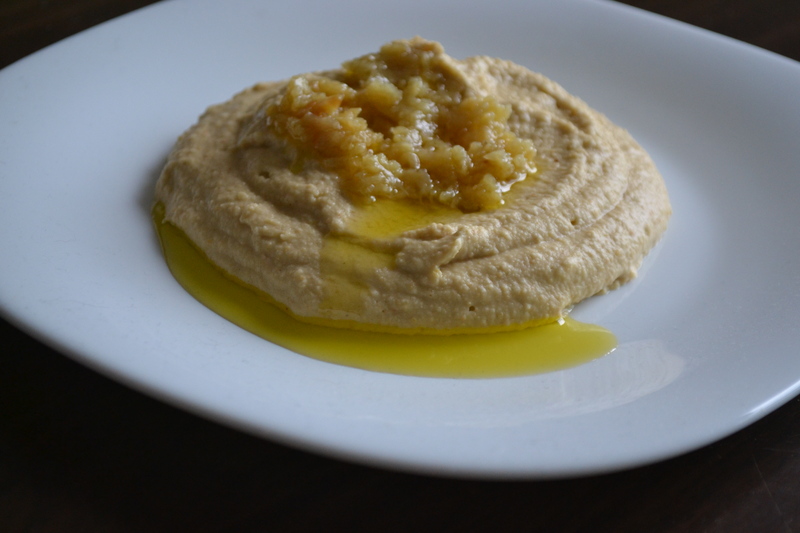 For a tasty garnish, mince the 3 roasted garlic cloves you set aside and toss in a tiny bit of olive oil and place on top of hummus. 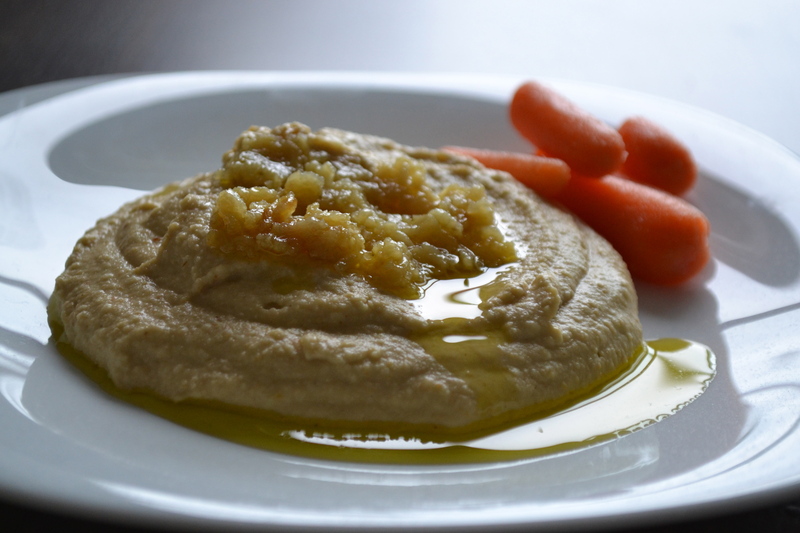 Serve at room temperature with pita, crackers, or veggies. Also you can add it as a condiment to a wrap! 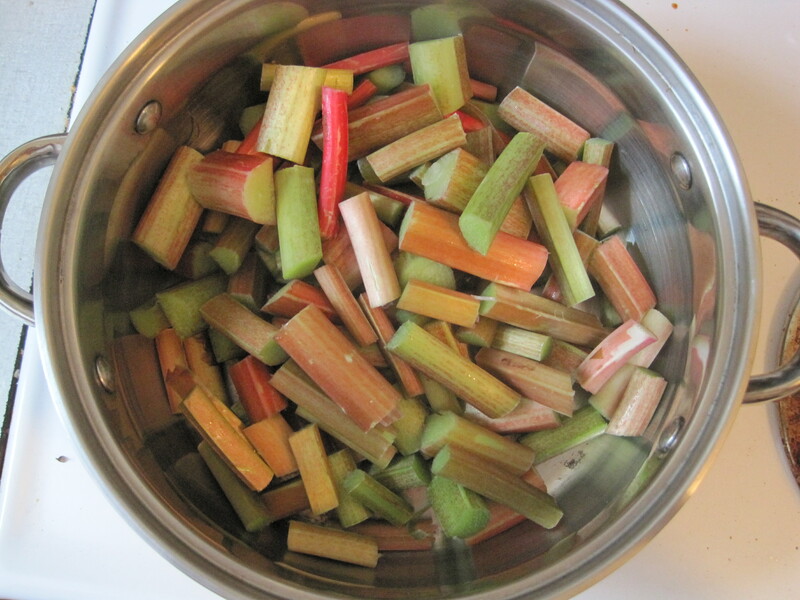 Refrigerate in an airtight container for up to a week. During exam time I find myself on the hunt for snack food. I’m ravenous for it! The more sweet and salty the better – anything to get my mind off of studying, really. 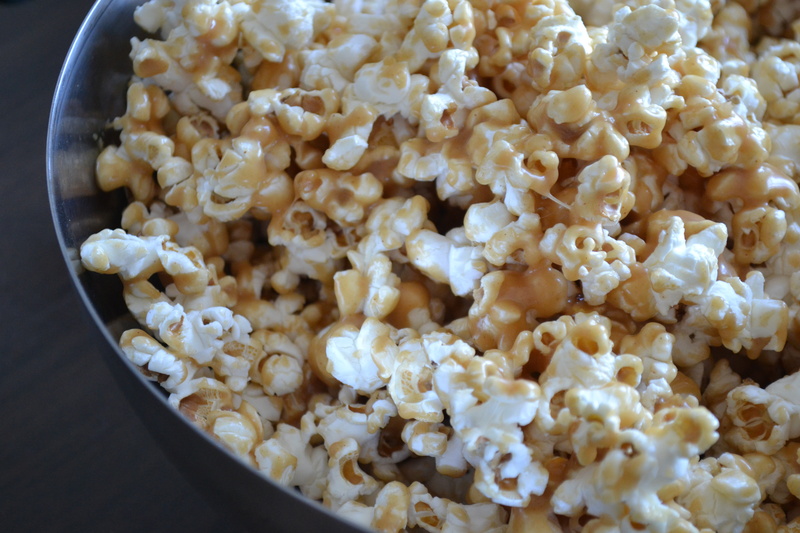 With this massive snack craving, and with little time to make anything too wild, I thought of putting some of my favorite flavours together on some air-popped popcorn. It was a good idea. 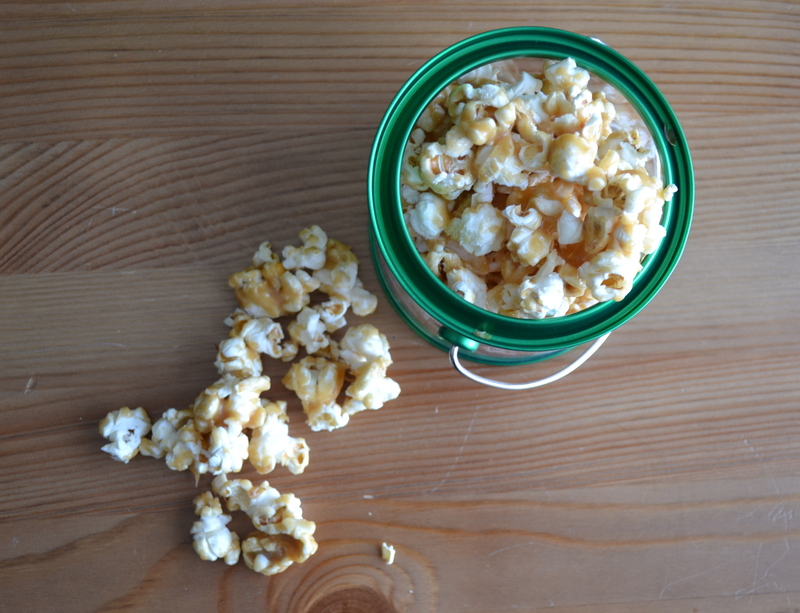 Such a good idea that this popcorn lasted only two days! 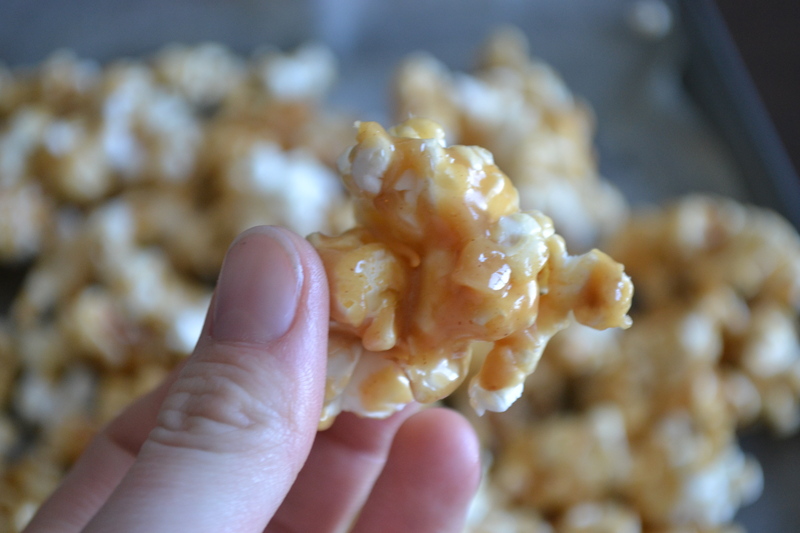 The peanut butter and honey come together to make an almost caramel-like consistency on the popcorn. I’m in heaven. To begin, place wax paper on a large baking sheet and spray with baking spray. 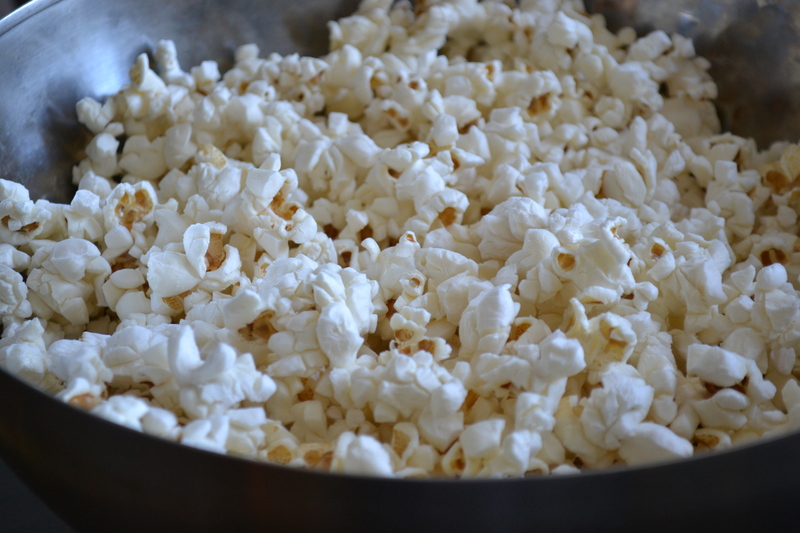 Pop your popcorn either with an air popper, on the stove top, or with bagged popcorn. 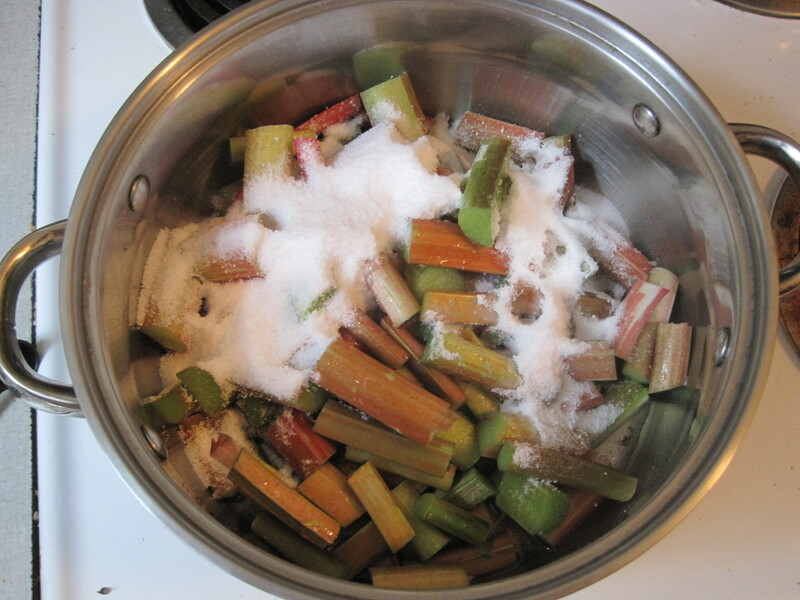 In a small saucepan, combine sugar and honey. Bring to a rolling boil. 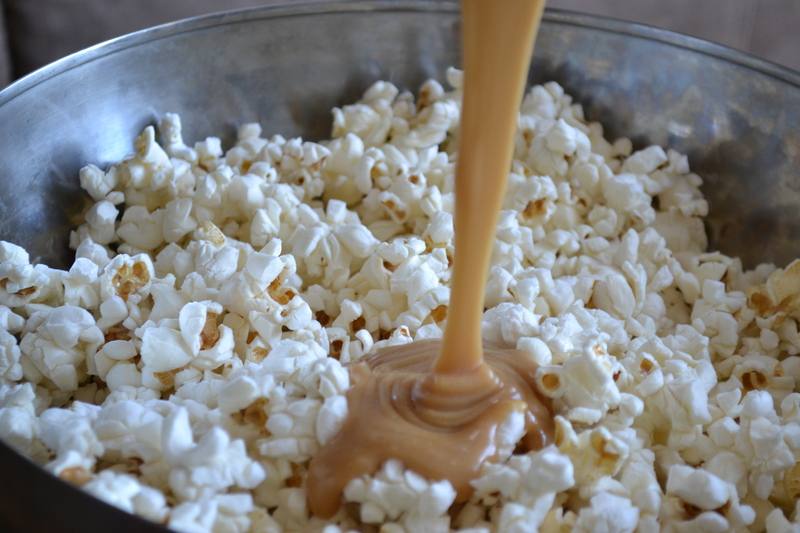 Pour peanut butter syrup over popcorn and stir to coat. Spread out on to a cookie sheet to cool for a few minutes. Place wax paper on a large baking sheet and spray with baking spray. 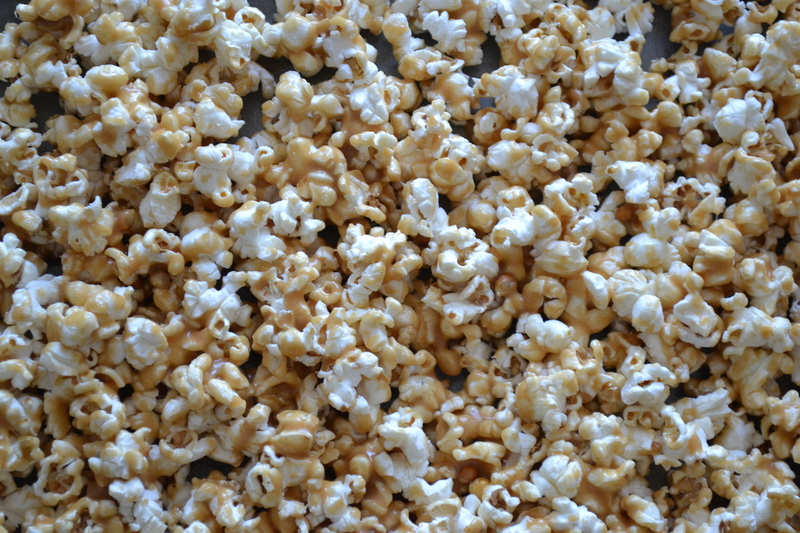 Pop your popcorn either with an air popper, on the stove top, or with bagged popcorn. 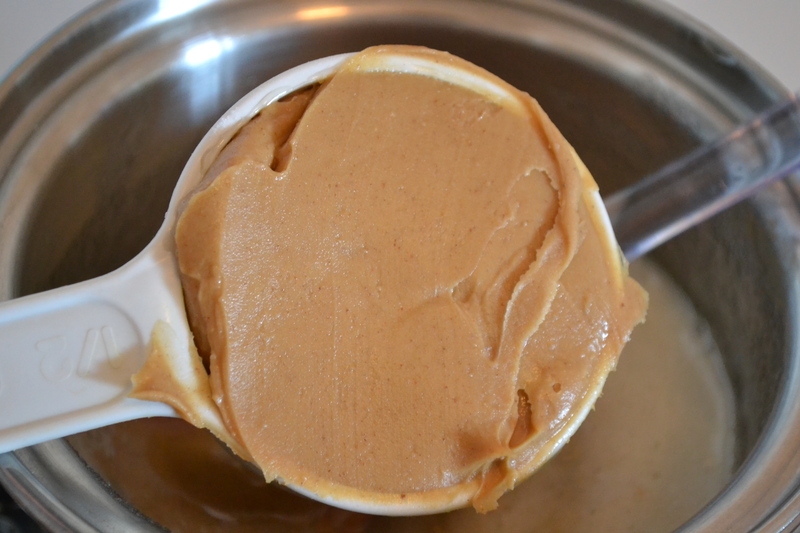 Remove from heat and stir in peanut butter until smooth. Add vanilla. 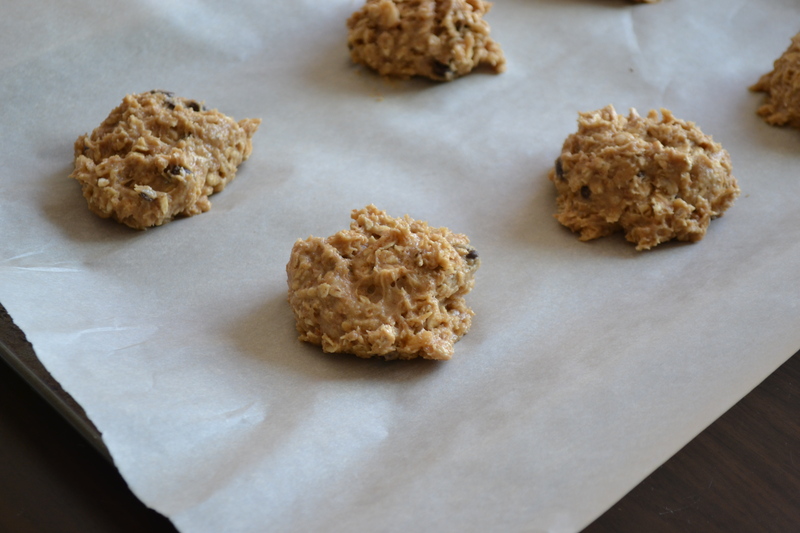 Spread out on to a cookie sheet to cool for a few minutes and enjoy! 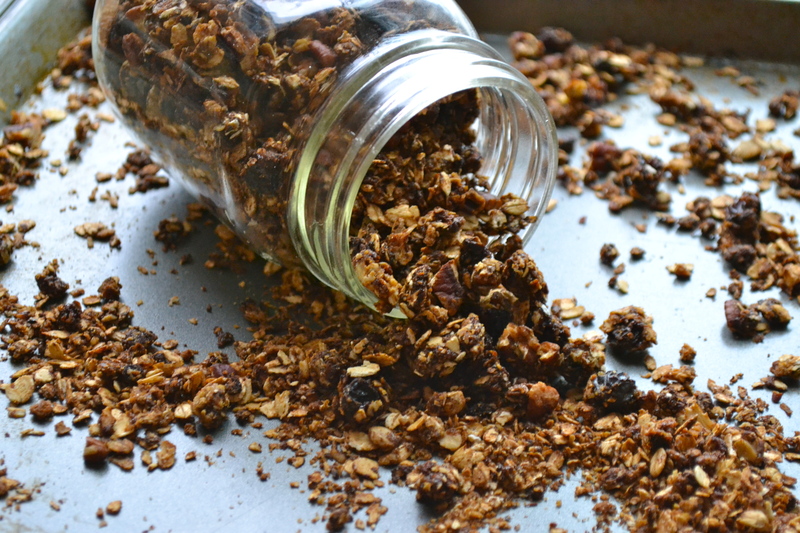 As much as I love trying out new things, I know what I like in granola. I like oats (obviously), almonds, honey, and sometimes raisins. It works for me. 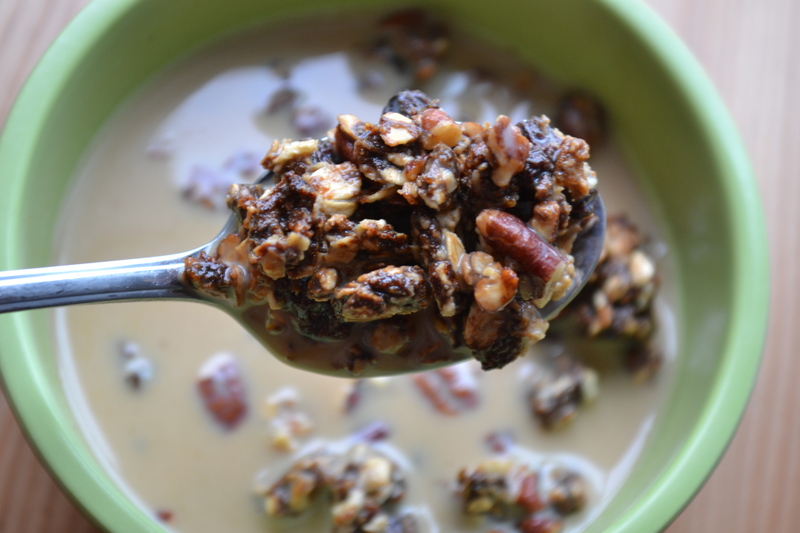 But I recently stumbled upon this recipe for gingerbread granola and it caught my eye right away! It packs a spicy punch that reminds of of Christmas morning. Interesting choice with this warm weather we’ve been having, but I knew I needed to try it. 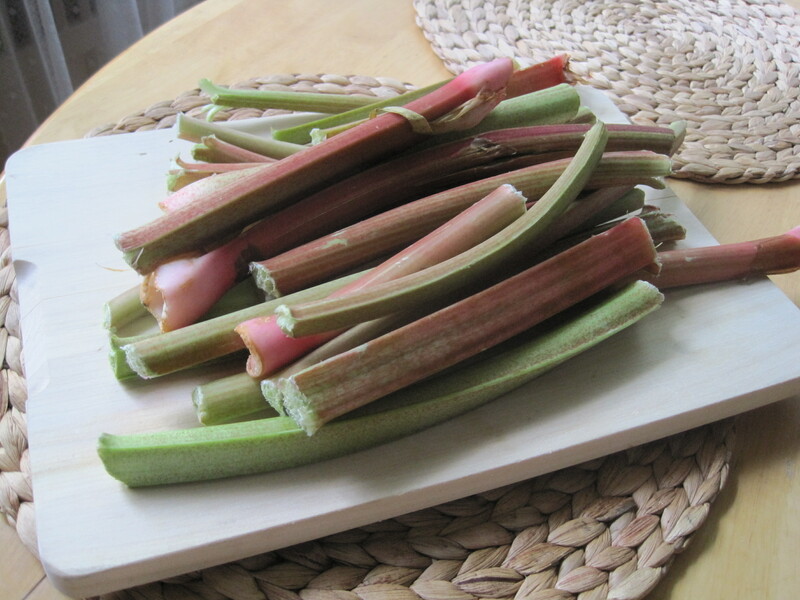 This goes great with plain or vanilla greek yogurt, milk, or ice cream. 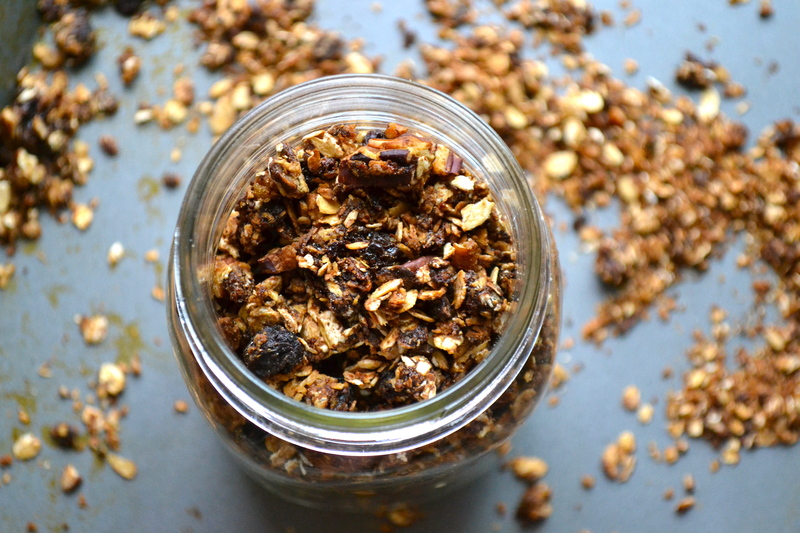 It’s such a nice switch-up to my regular granola and I love having it as a snack after a run. Speaking of which, I JUST finished a 10 km race! I finished in 46:48 – a personal best for a short 10 km race, so I’m ecstatic! 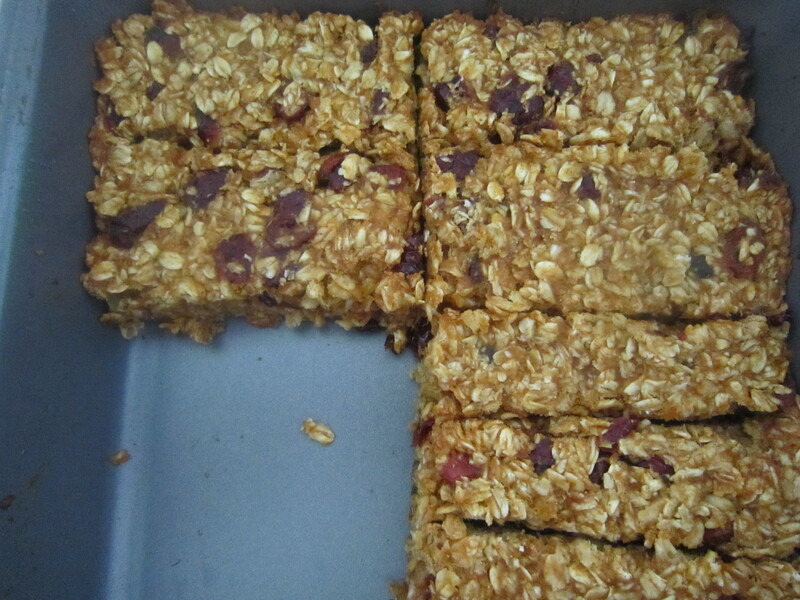 Anyway, back to granola! 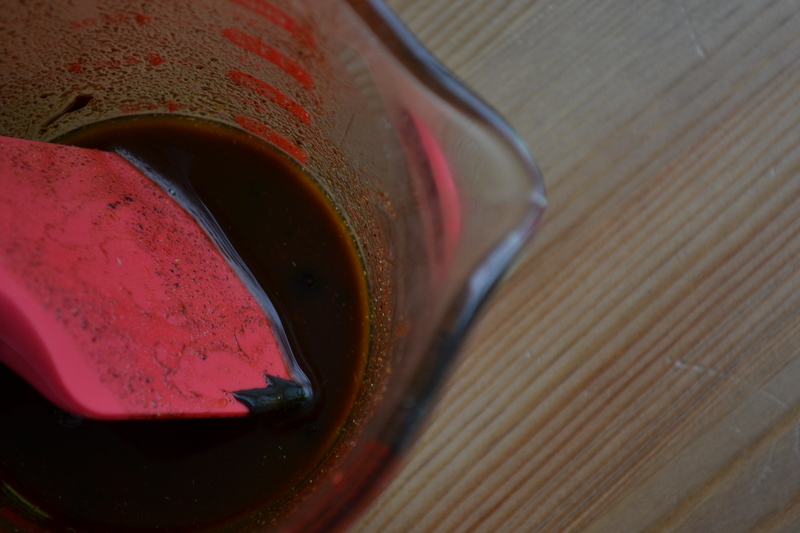 To make this whisk together molasses, brown sugar, honey, and oil. 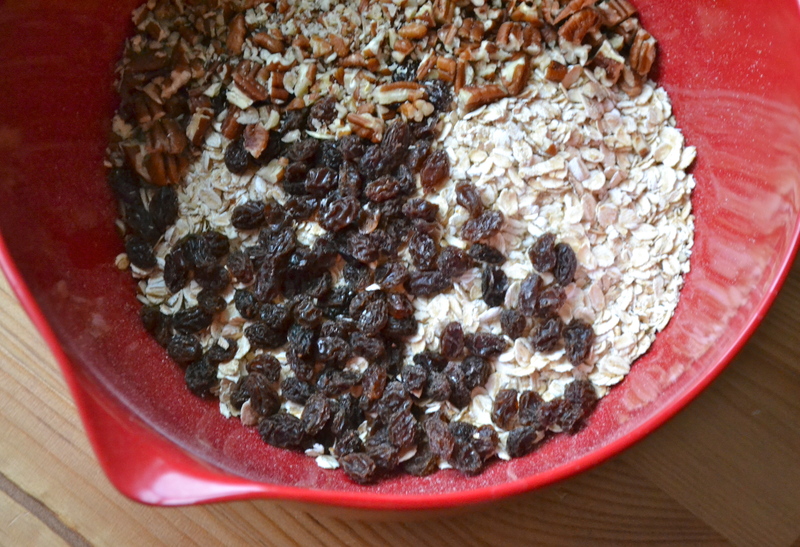 In a separate bowl mix salt, cinnamon, ginger, cloves, oats, raisins, coconut and nuts until evenly mixed. Spread onto two large rimmed baking sheets sprayed with baking spray. 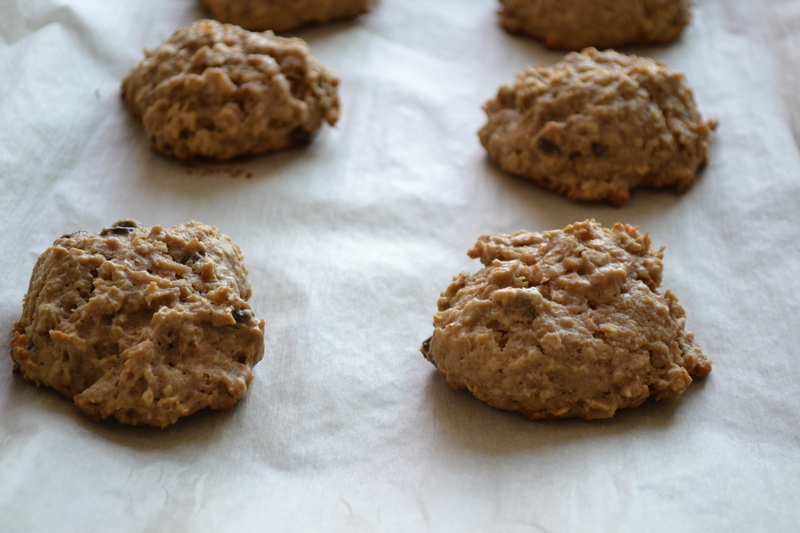 Bake at 325ºF for 25-30 minutes, stirring occasionally, until oats are golden brown (if cooking both sheets at once, swap positions half way through baking time). 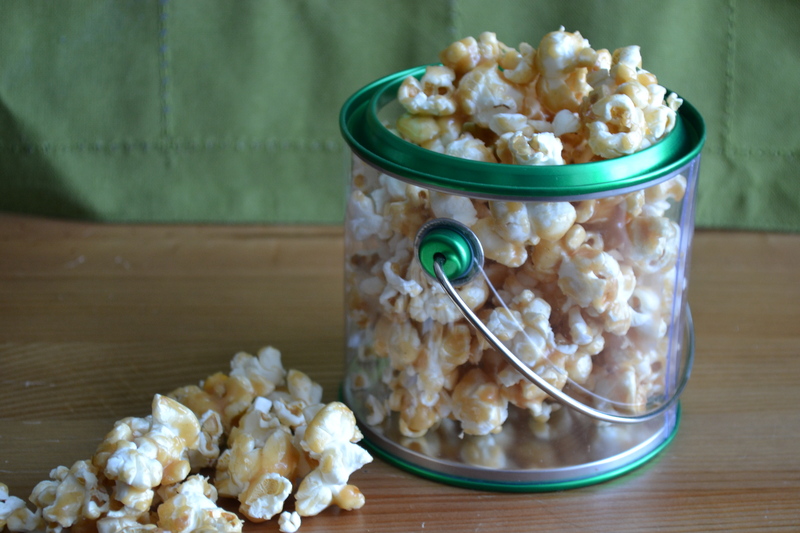 Let cool completely before storing in an airtight container, and enjoy! Whisk together molasses, brown sugar, honey, and oil. 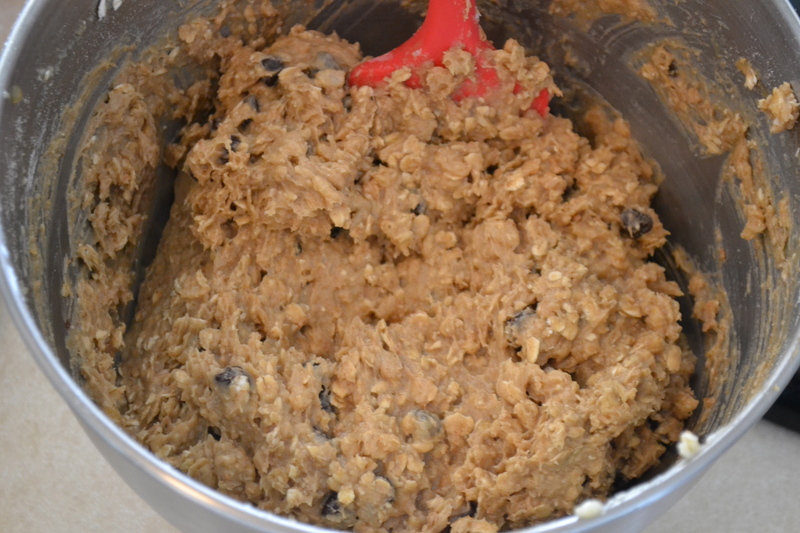 In a separate bowl mix salt, cinnamon, ginger, cloves, oats, raisins, coconut and nuts until evenly mixed. Stir in molasses. Who gets excited for breakfast?! Lordy, before bed every night and sometimes a week in advance I plan my breakfast out, and become extremely excited for morning to come. My typical breakfast rotation includes: steel cut oatmeal, granola and greek yogurt, soft boiled eggs and smoothies. 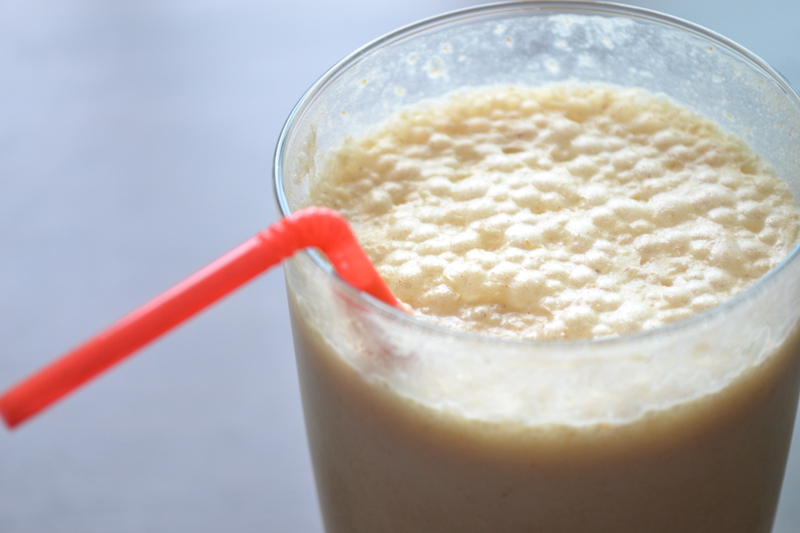 Smoothies are definitely my breakfast favorite, even though I rarely blog about them. I think it’s because I wake up when it’s still dark outside…I’m an early morning wild child (I don’t know what that means). This smoothie is filled with so much goodness. 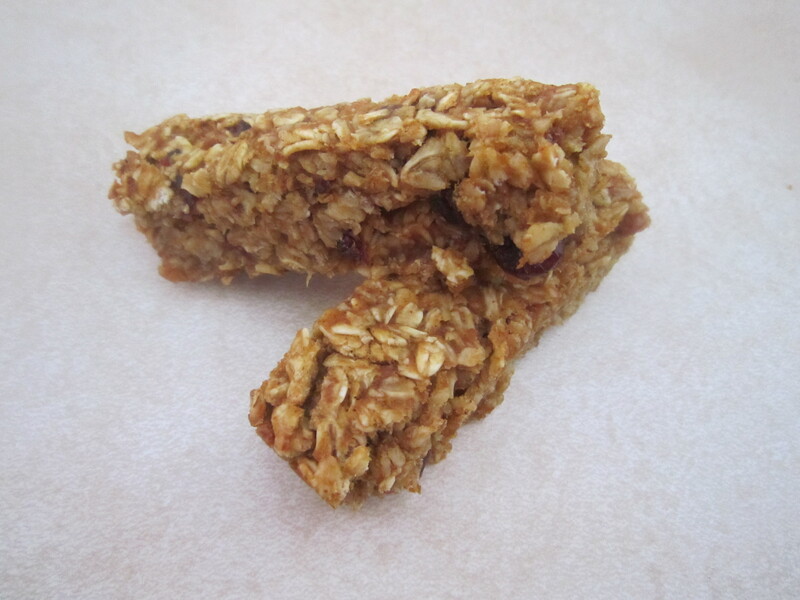 Honey + Oats + Ground Flax + Banana Goodness. Yes, please! To begin, grind flax and oats together with a mortar and pestle (or with a spice or coffee grinder). 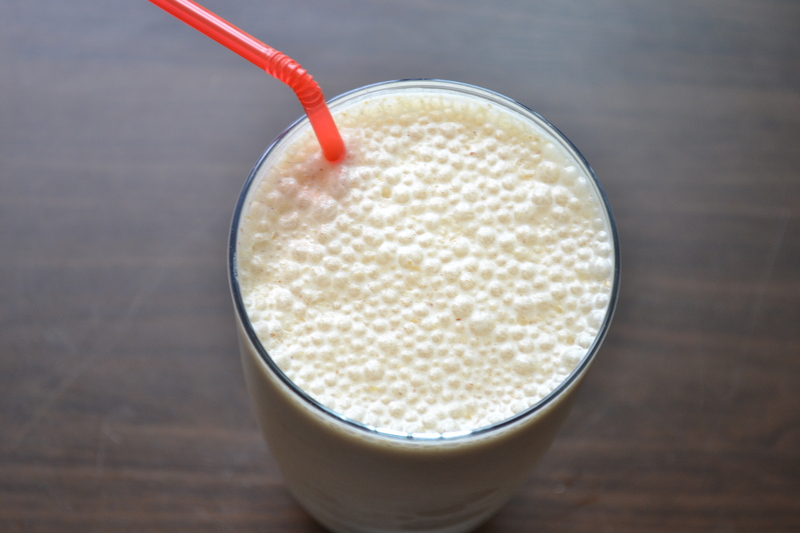 In a blender combine your choice of milk (I used 1% for this), banana, peanut butter, ground flax and oats. 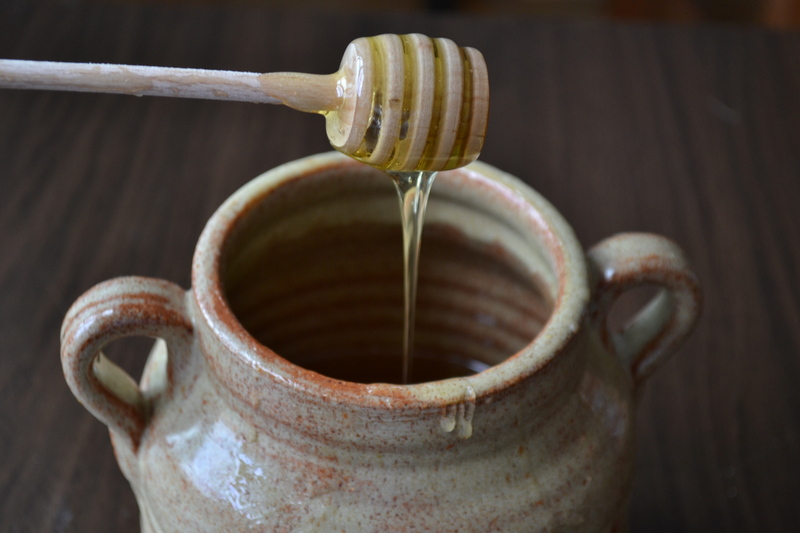 Add in your delicious honey. Blend until no banana chunks remain, and the mixture is thoroughly incorporated. 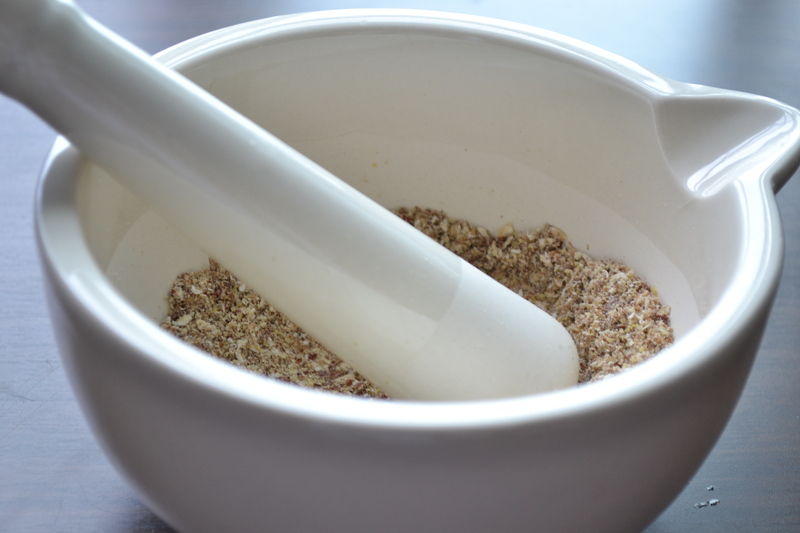 Grind flax and oats together with a mortar and pestle (or with a spice or coffee grinder). 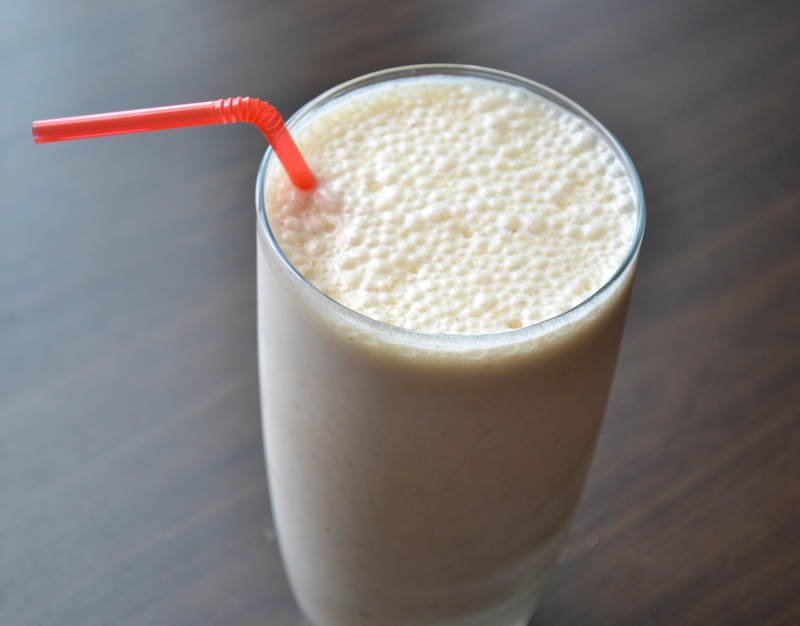 In a blender combine your choice of milk (I used 1% for this), banana, peanut butter, honey, and ground flax and oats. 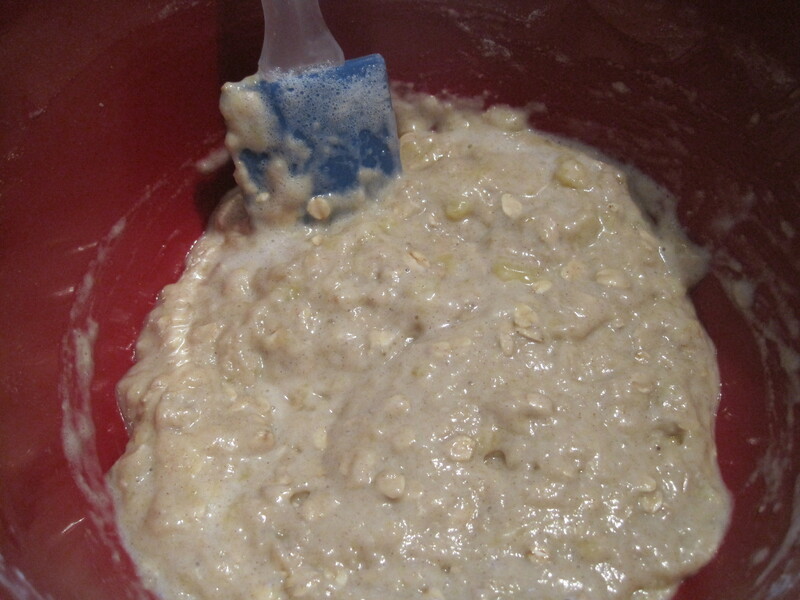 Blend until no banana chunks remain, and the mixture is thoroughly incorporated. I remember seeing this ugly snack for the first time. I was at a girls Secret Santa Christmas party and my friend brought it as her potluck treat. I thankfully accepted her contribution to the food table, eyeing the strange mixture of whatever-it-was as I placed it with the other food. 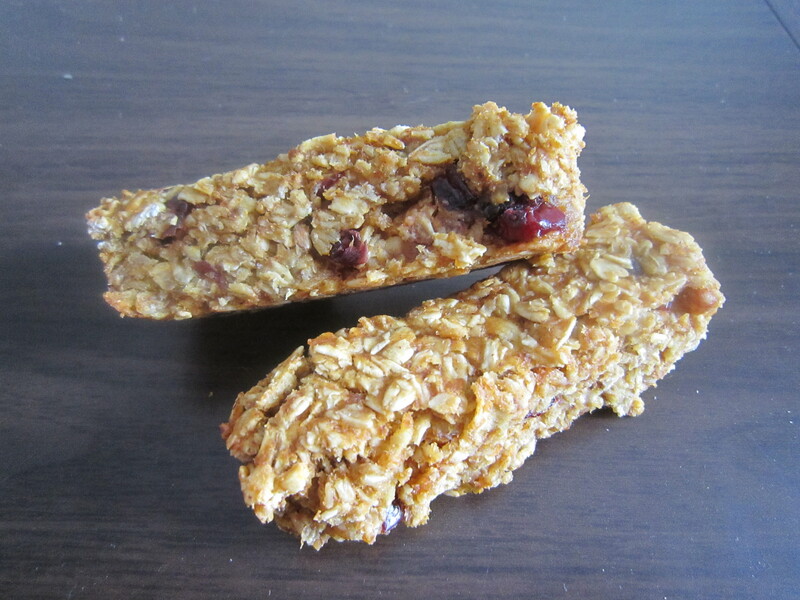 I tried the snack to be polite, and then…I was HOOKED! 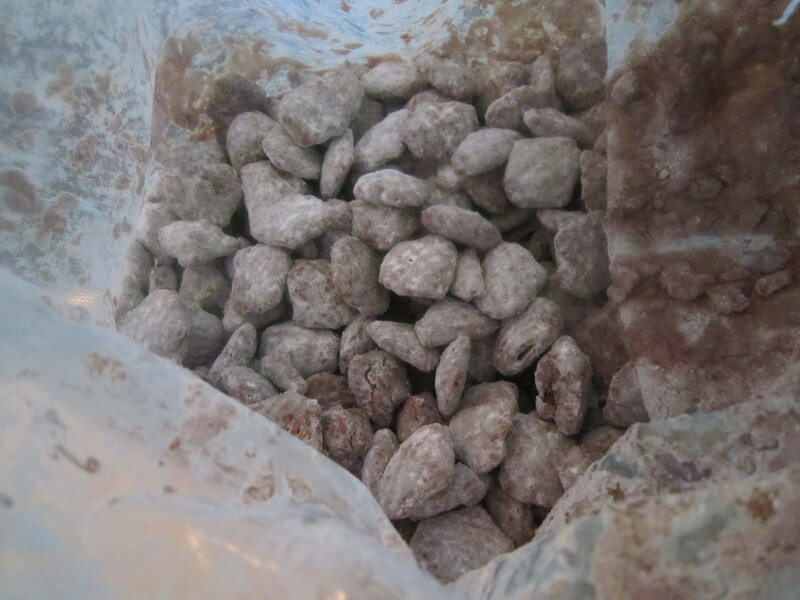 Sure, this “Puppy Chow” isn’t anything to look at, but it’s tasty. It’s filled with peanut butter, chocolate and icing sugar and makes me a very happy girl. A very, very, happy girl. 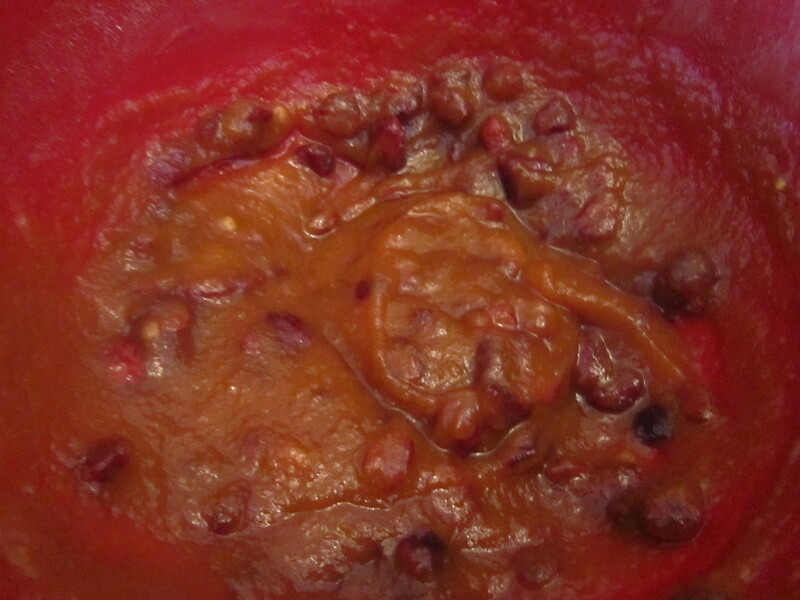 To begin, melt PB and chocolate chips in a big pot on the stove. Once melted, take off the heat. 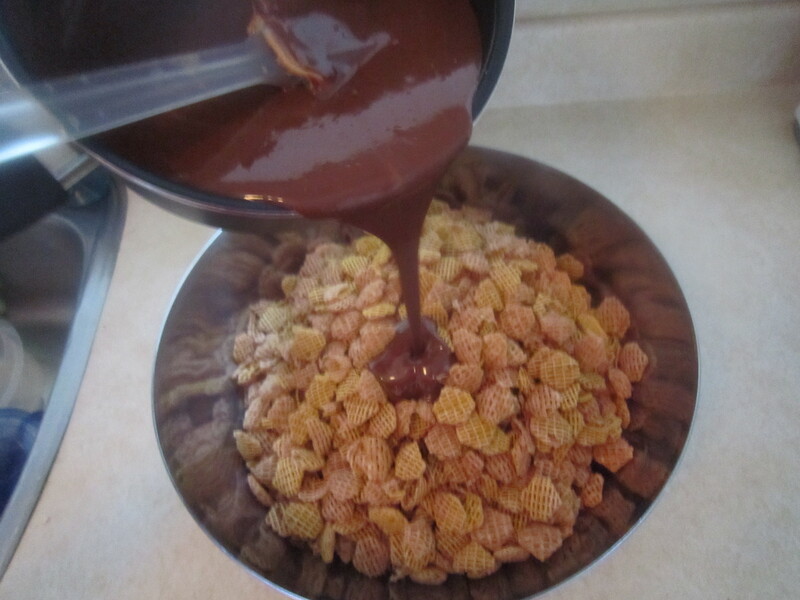 Put box of Crispix in a big bowl, and add melted chocolate and PB. Stir everything together until Crispix is covered with the choco/PB mixture. 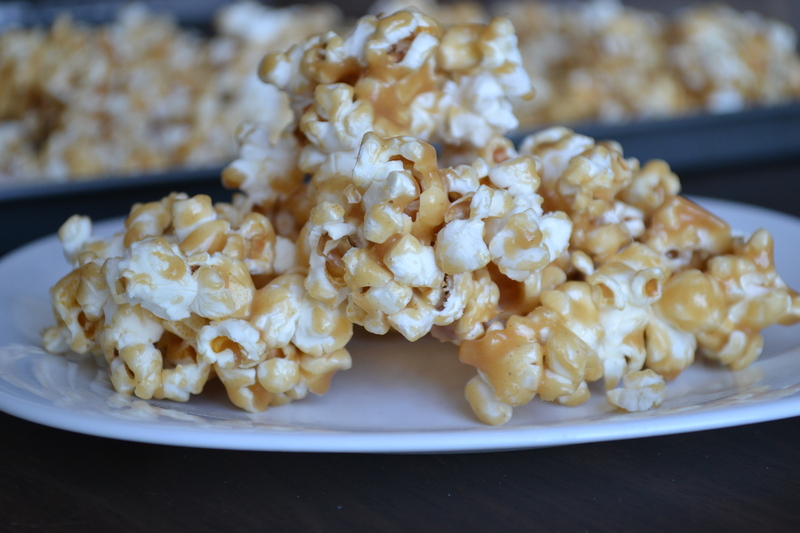 Pour into two large freezer bags. And now shake that mixture silly to “Jingle Bells”! 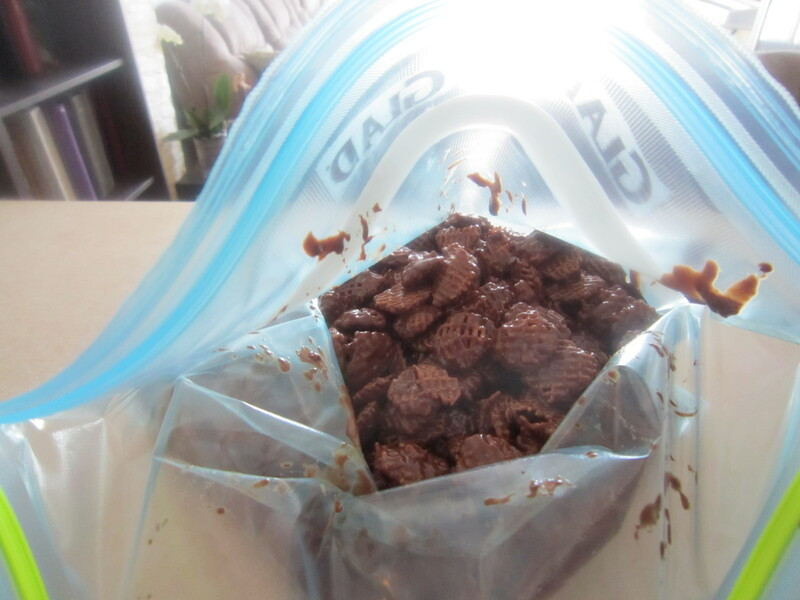 Put your freezer bags in the fridge or freezer to solidify the mixture, and then you’re all done! This is such a great gift. You can doll it up is a nice Christmas tin, or bag with a bow. It’s cheap, easy, tasty and fun! 1. 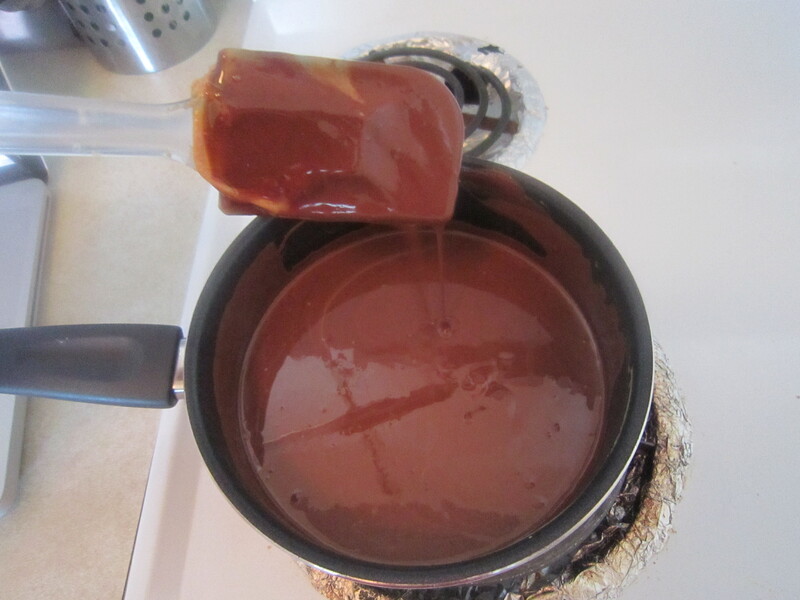 Melt PB and chocolate chips in a big pot on the stove. 2. Once melted, take off heat. 3. 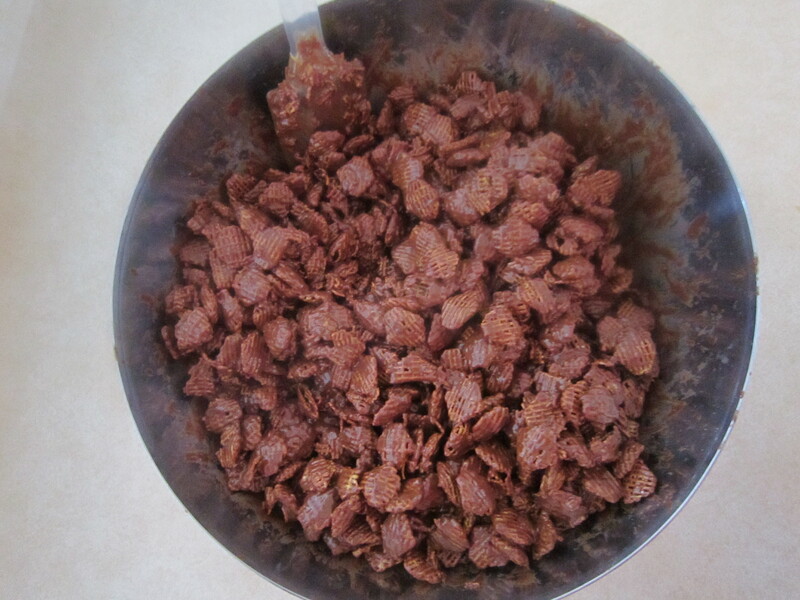 Put box of Crispix in a big bowl, and add melted chocolate and PB. 4. Stir everything together until Crispix is covered with the chocolate and PB mixture. 5. 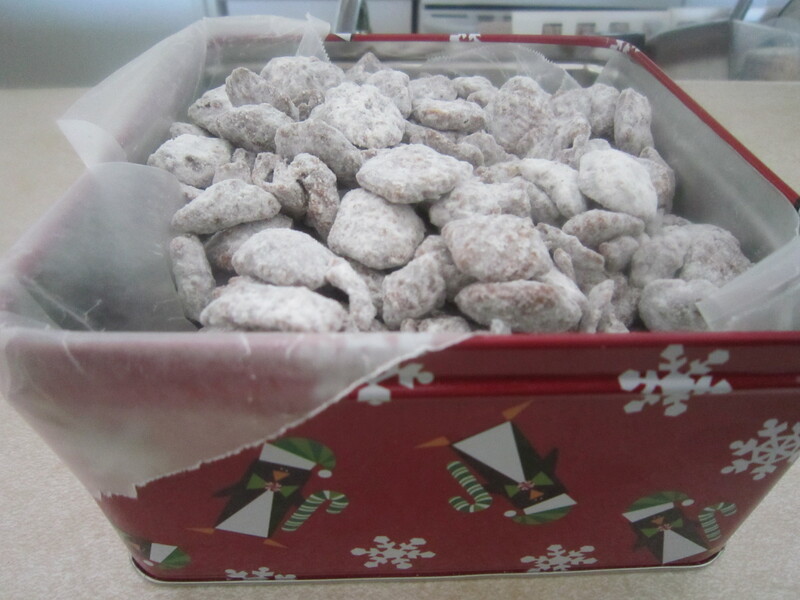 Pour into two large freezer bags, and then add icing sugar. 6. Shake until covered (however much icing sugar you feel you need). 7. Cool in fridge/freezer (I always freeze mine). I’m so excited for Halloween this year. I have my own apartment to decorate as I please AND I just adopted a new cat from the humane society. So, I have a new friend to watch me prep for the 31st. 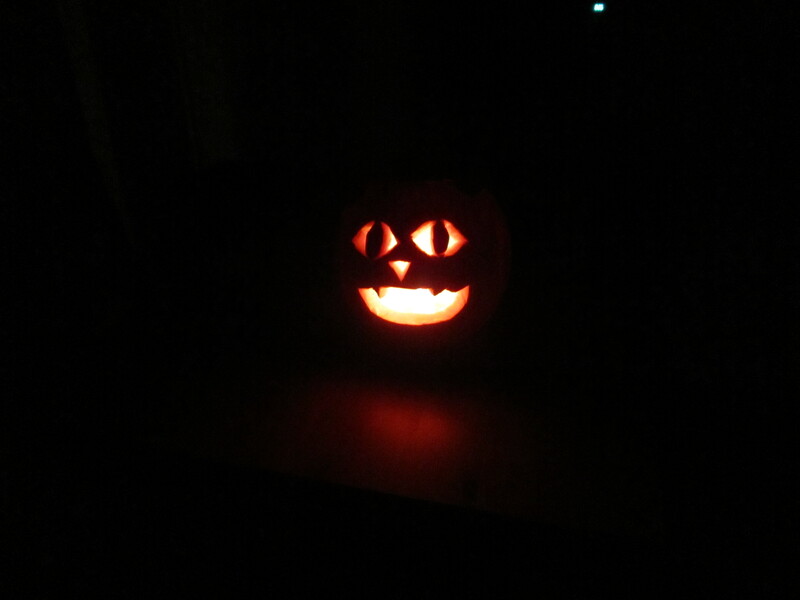 In honour of my new kitty (Molly), my boyfriend and I carved our Halloween pumpkin into a cute kitty pumpkin! This was good for several reasons, the most important being the amazing pumpkin seeds that we roasted. 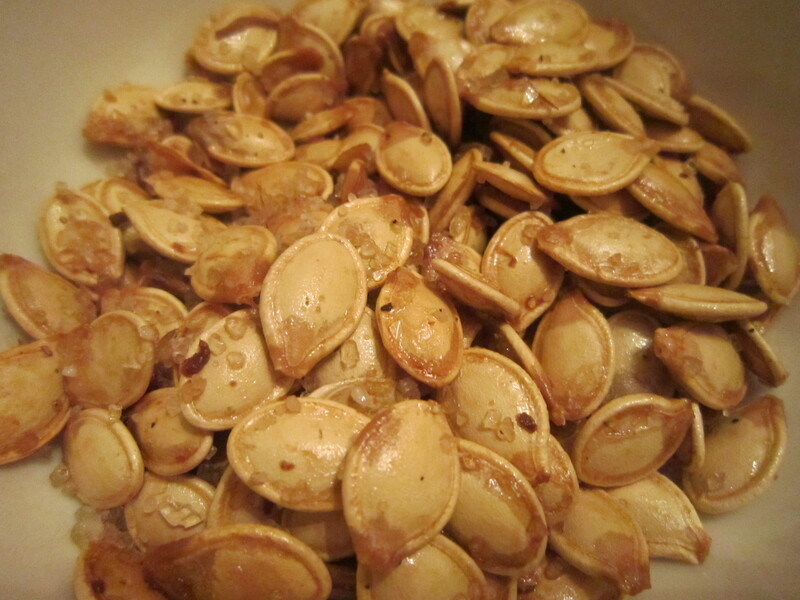 I look forward to roasted pumpkin seeds every year, and am obsessed with the plain sea-salted variety. 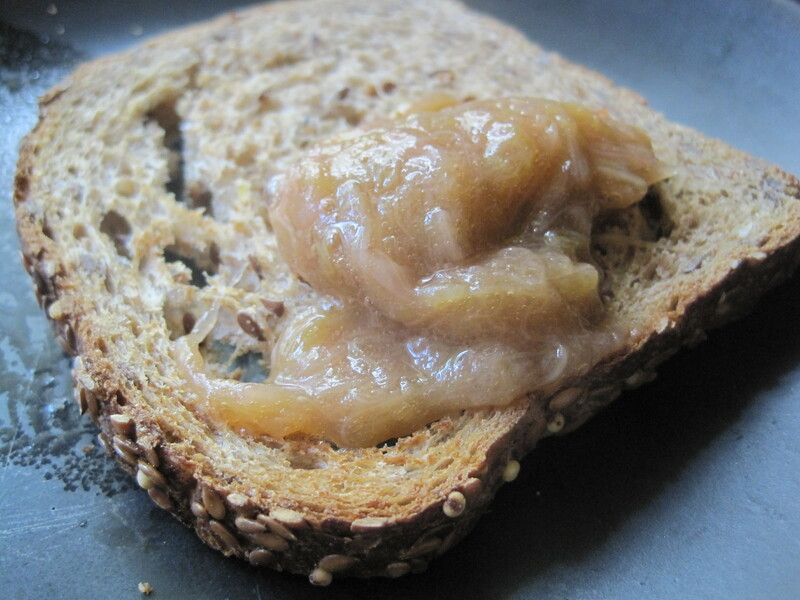 This year I scoped out Cookin’ Canuck‘s blog and tried her Cinnamon sugar seeds as well. It was a very good idea. 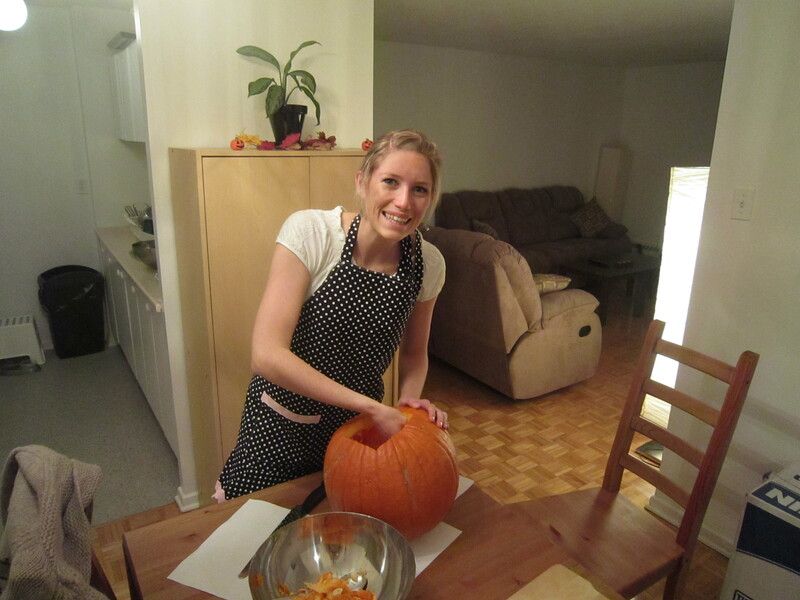 To begin, scoop all of the innards out of a large pumpkin. 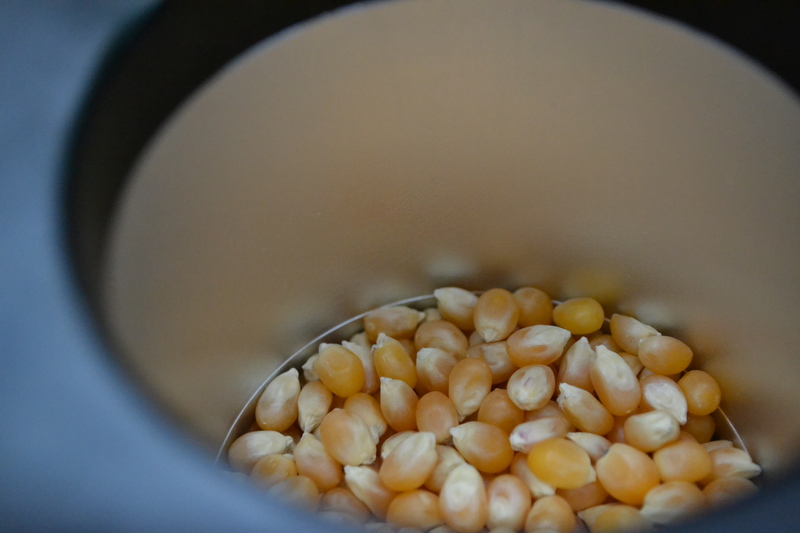 Thoroughly separate the seeds from the “guts” and place the seeds into a strainer. Rinse the seeds leaving a bit of pumpkin on them (I like them better this way). Dry the seeds with a kitchen towel, and place them on a large baking sheet. Toss with oil. See recipes for salted pumpkin seeds and cinnamon sugar pumpkin seeds below. 1. Preheat oven to 350 degrees F, with rack placed in the middle of the oven. 2. Scoop all of the innards out of a large pumpkin. 3. Separate the seeds from the “guts” and place the seeds in a strainer. 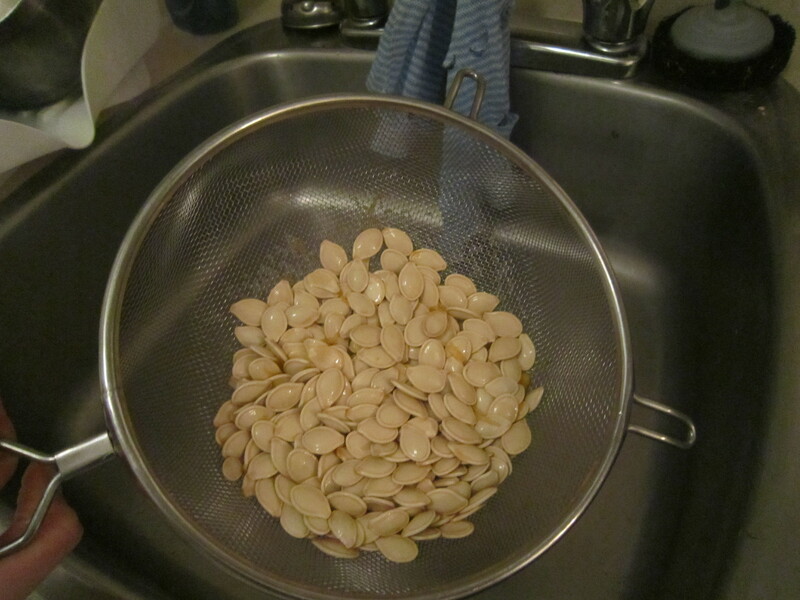 Rinse (leaving a bit of pumpkin on the seeds) and drain. 4. Place all of the seeds on a kitchen towel, cover with another kitchen towel, and pat dry thoroughly. 5a. Place half of the seeds on a baking sheet and toss with oil. 6a. Add sea-salt and spread in a single layer. 5b. Place the other half of the seeds on a baking sheet and toss with oil. 6b. In a small bowl, stir granulated sugar and ground cinnamon. Toss the oil-coated seeds with the cinnamon sugar mixture. 7. Place baking sheet in the oven and cook until the seeds are golden brown and crunchy (test one, but be careful because it will be hot), about 25 minutes, stirring every 10 minutes. Cool and serve. These stay good in an air tight container for weeks!! If I’m being perfectly honest, I must admit that my day to day eating habits are pretty healthy. Because I’m a vegetarian, I eat according to the vegetarian food guide and am constantly consuming tons of fruit and vegetables, whole grains, soy, nuts and seeds. I have a soft spot for chocolate, and sweets in general, but I don’t binge on these foods when I’m by myself. 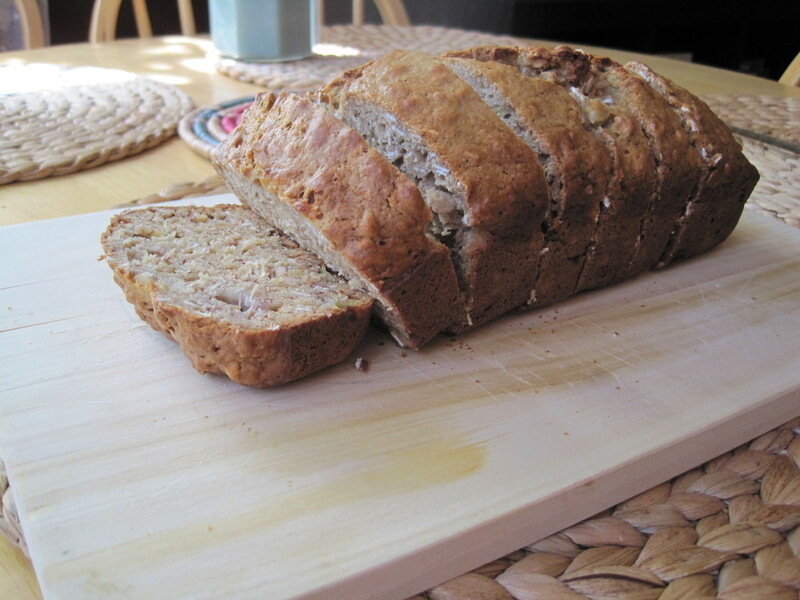 When I’m baking for myself I tend to bake healthy foods – such as Light and Lemony Poppyseed Bread, Energy-Packed Granola Bars, and this oatmeal banana bread. 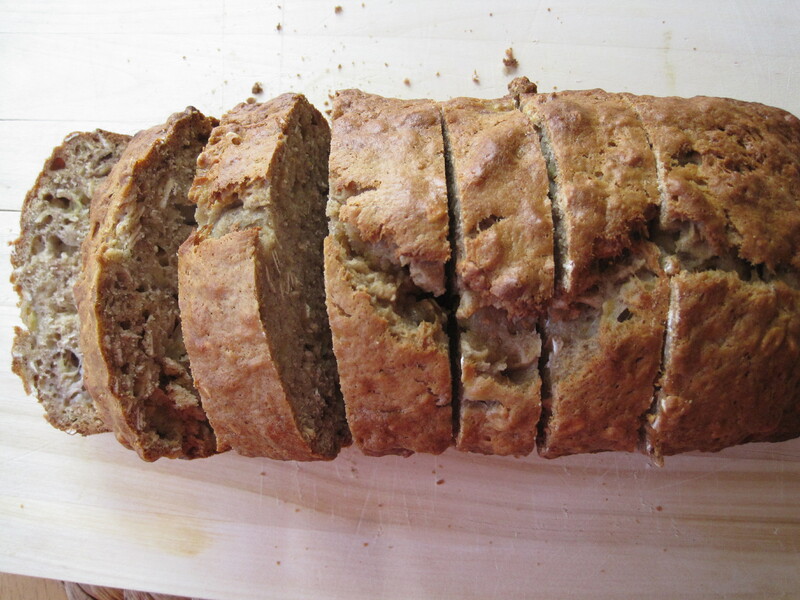 This bread is packed full of fiber filled oats, and yummy ripe bananas. 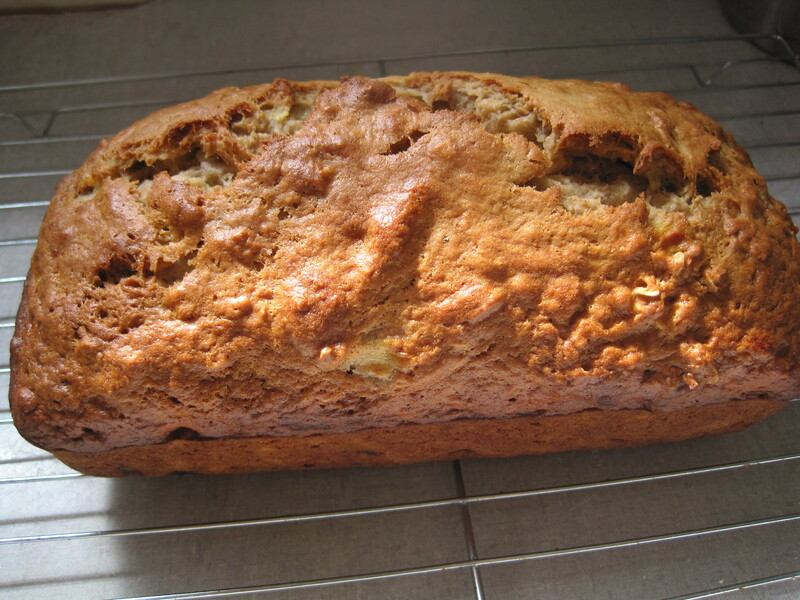 As you may have noticed, I love making muffins and breads with bananas. 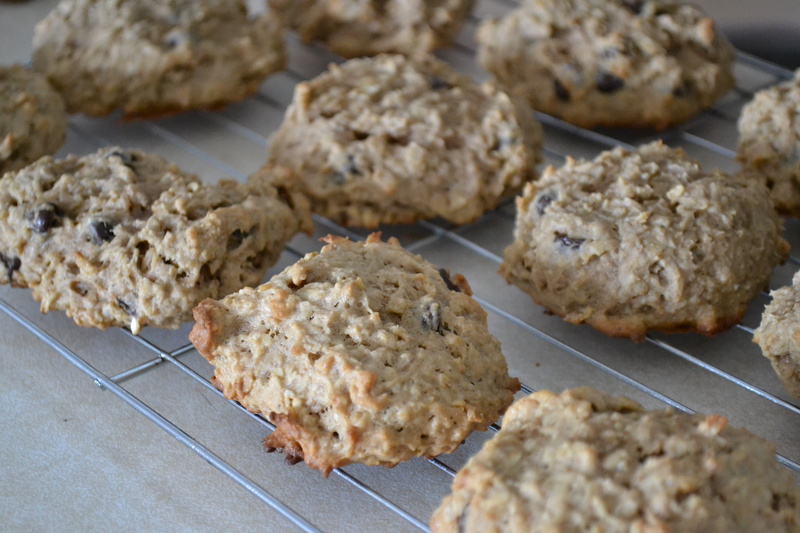 They are so tasty, and easy to bake. So I hope you’re ready to get bakin’. This bread freezes so well. You just slice it, and then wrap it up individually. Perfect. 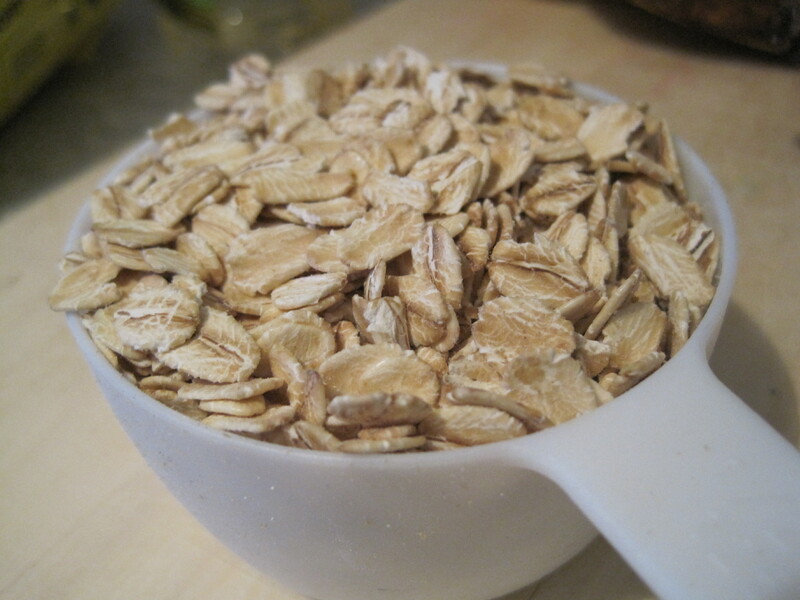 Begin by stirring together dry ingredients, including the oats and cinnamon. 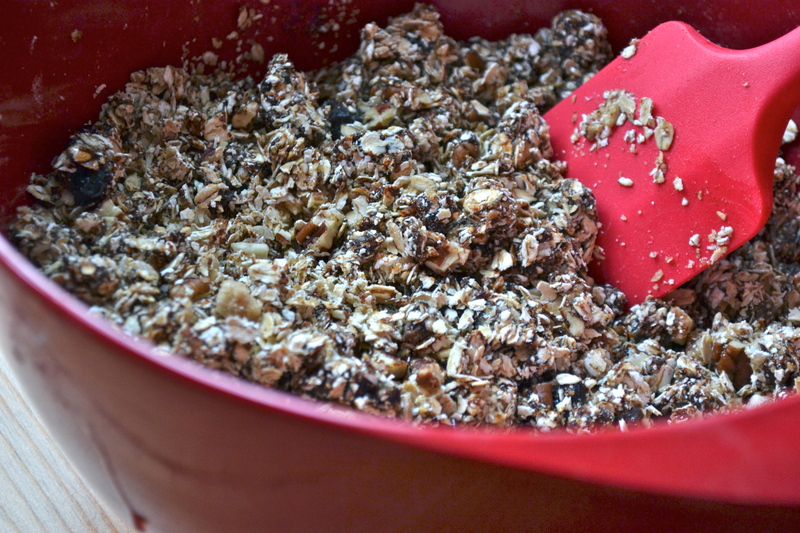 Look at those yummy oats! 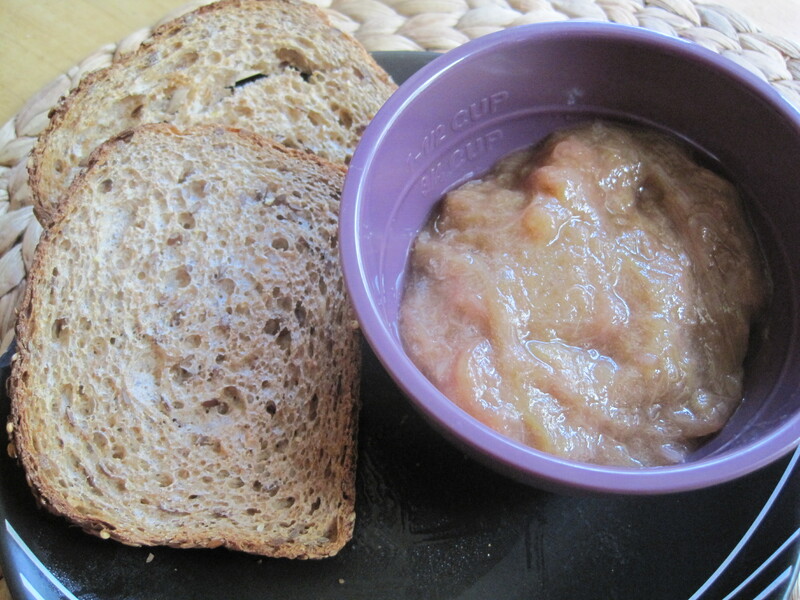 In a smaller bowl, mash bananas with a potato masher or fork. Add oil and whole egg and mix thoroughly. Add the wet ingredients to the dry and mix well. Batter will be fairly thick. In a medium sized bowl, with an electric hand mixer, beat the egg whites until medium stiff peaks form. Fold the egg whites into the batter in three additions. 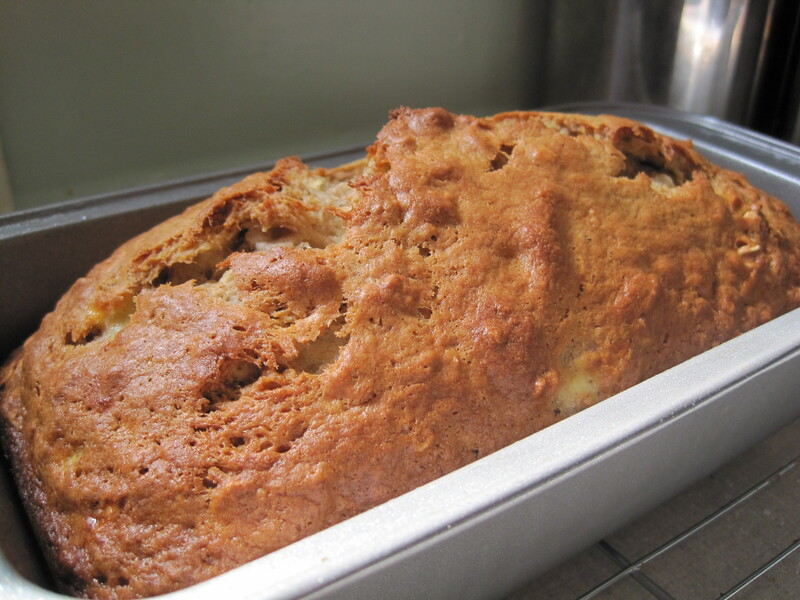 Pour batter into pan and bake until top of loaf is firm to touch, 45 to 50 minutes. Remove from oven and allow to cool in pan for 5 minutes. I got this awesome recipe from Joy the Baker. It makes 1 loaf. Cut it into 8 slices for 4 weight watchers points per slice. 1. Preheat oven to 350°F. Grease and flour a loaf pan and set aside. 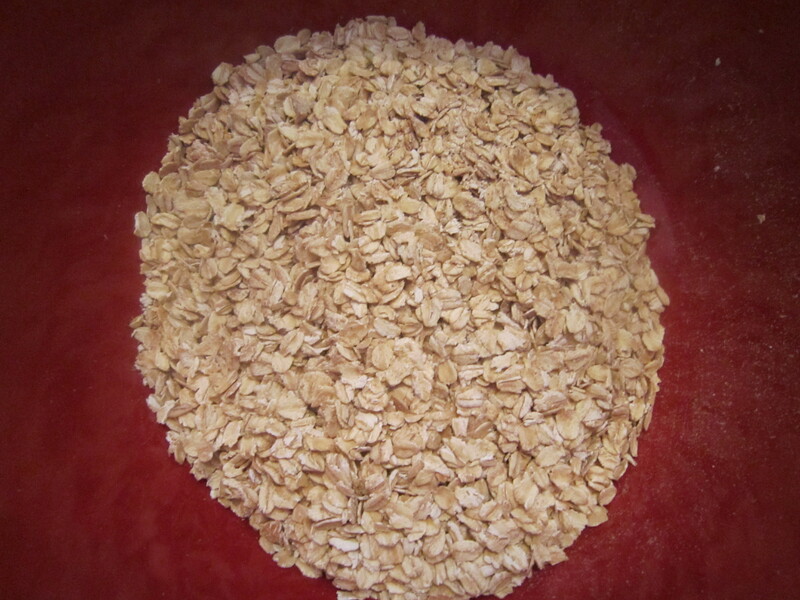 In a large bowl, stir together dry ingredients including the oats and cinnamon. 2. In a smaller bowl, mash bananas with a potato masher or fork. Add oil and whole egg and mix thoroughly. 3. Add the wet ingredients to the dry and mix well. Batter will be fairly thick. 4. In a medium sized bowl, with an electric hand mixer, beat the egg whites until medium stiff peaks form. Fold the egg whites into the batter in three additions. 5. 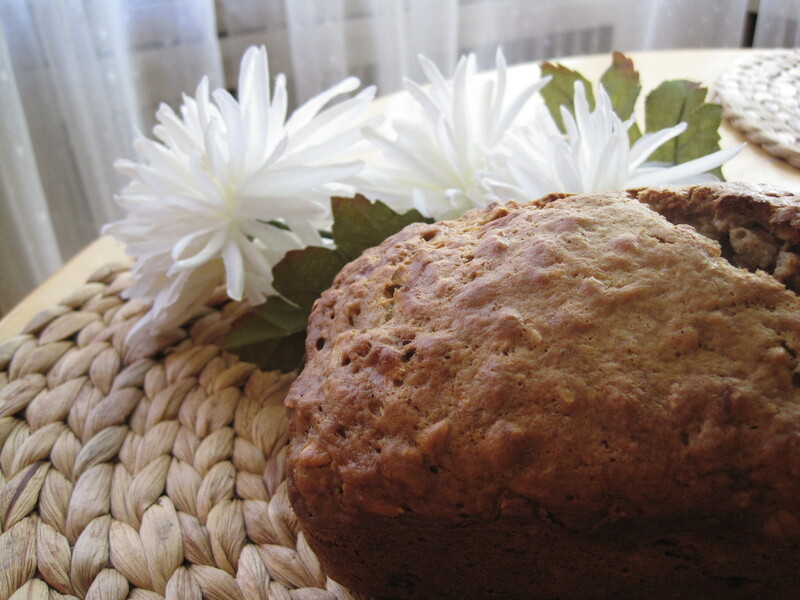 Pour batter into pan and bake until top of loaf is firm to touch, 45 to 50 minutes.